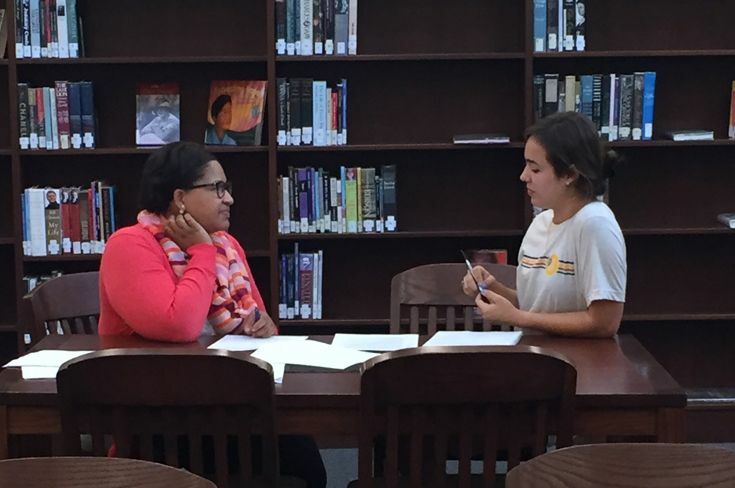 Hutchison College Counselor Michele Davis works with Porter Johnson '17 during the summer college application planning session. 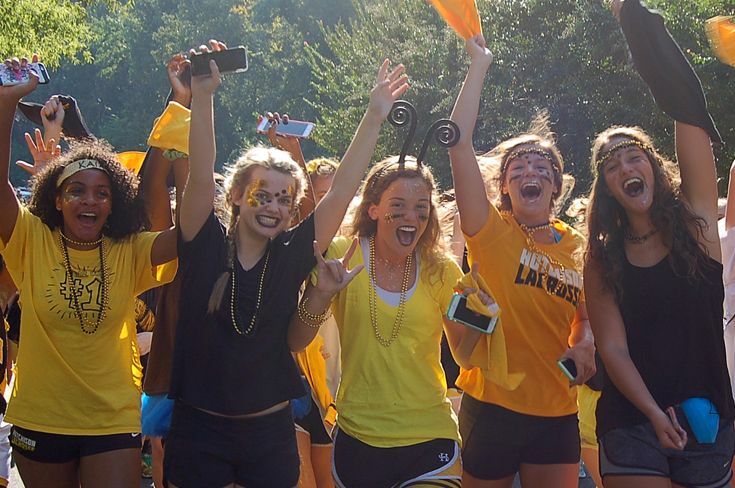 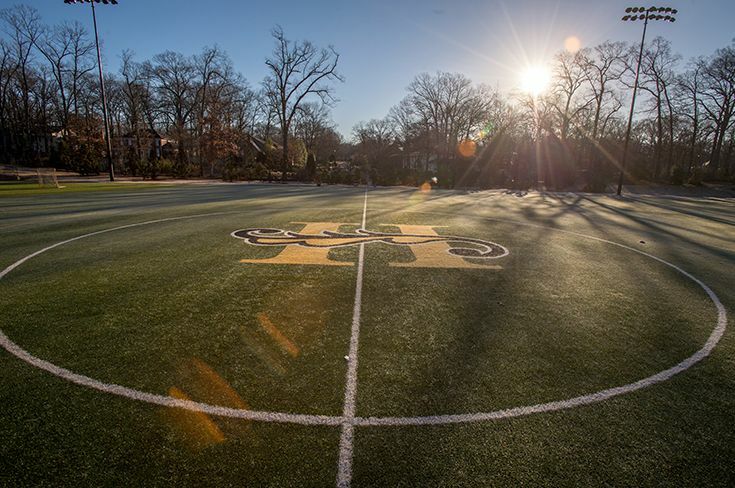 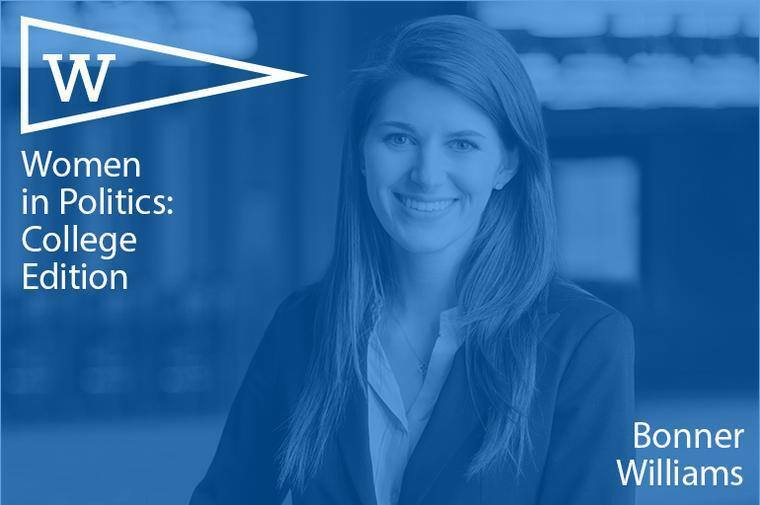 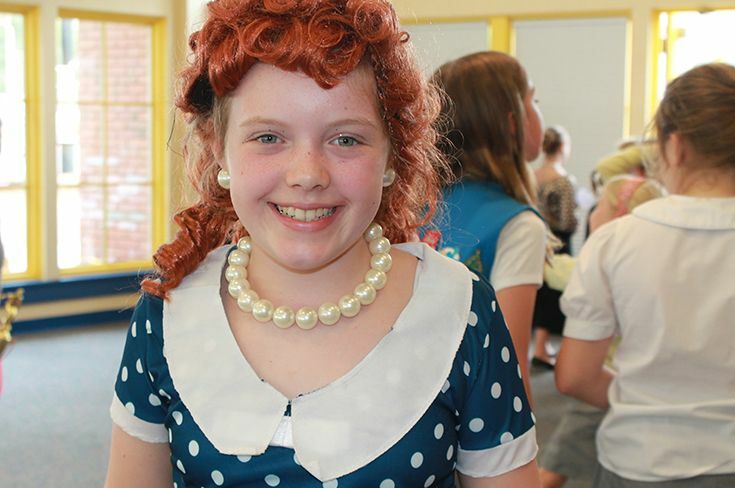 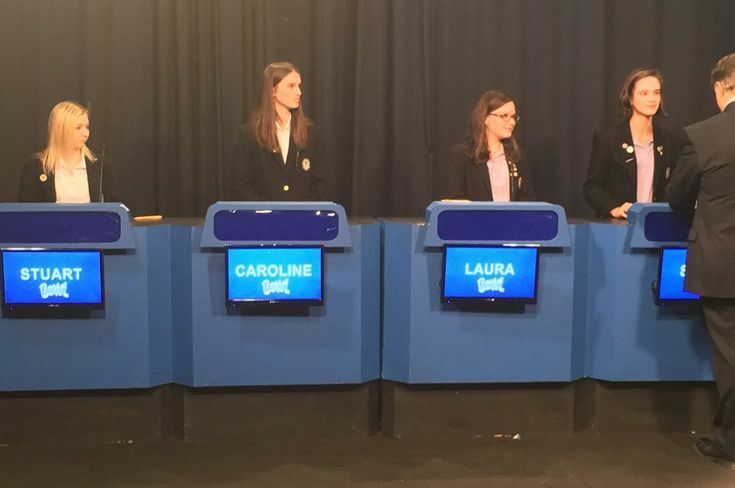 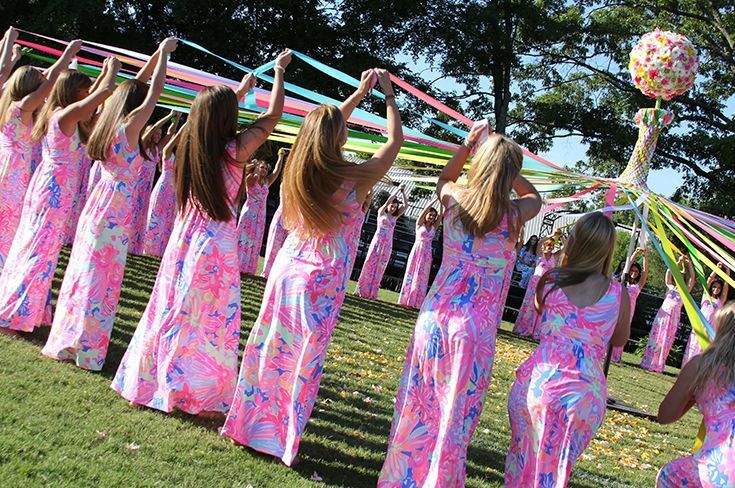 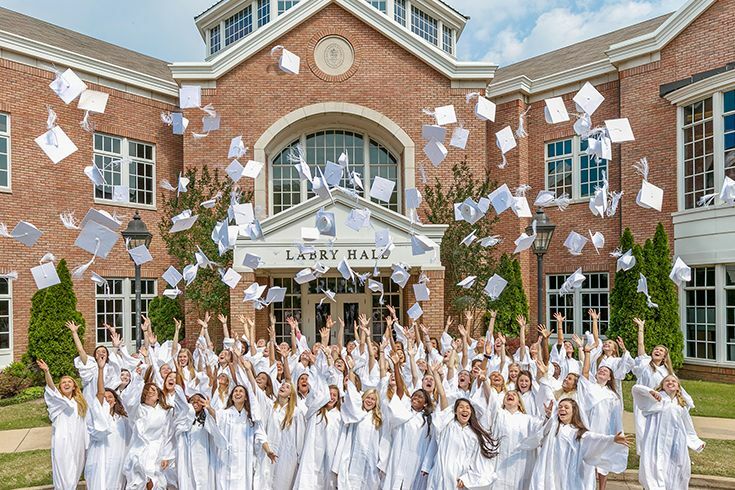 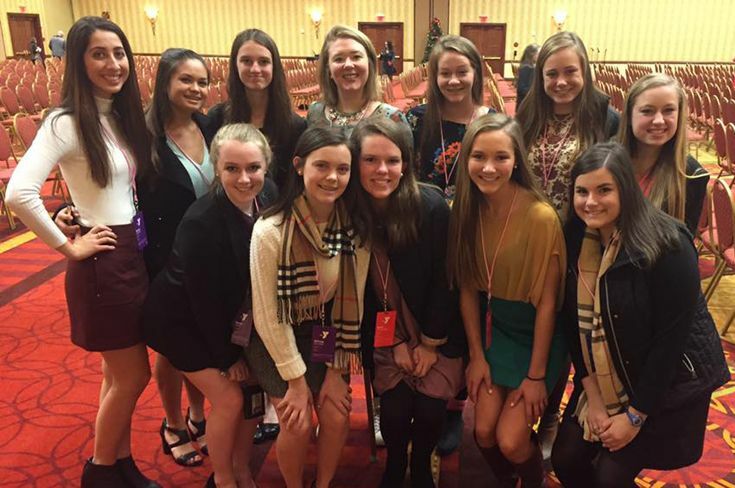 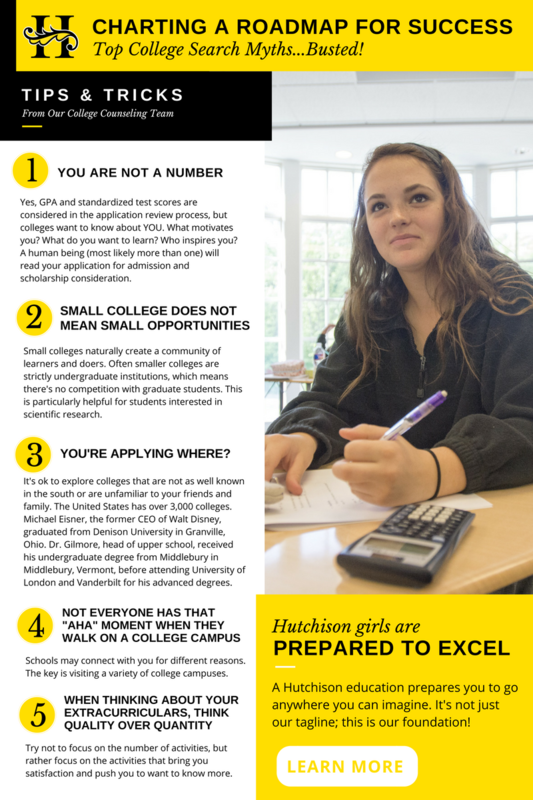 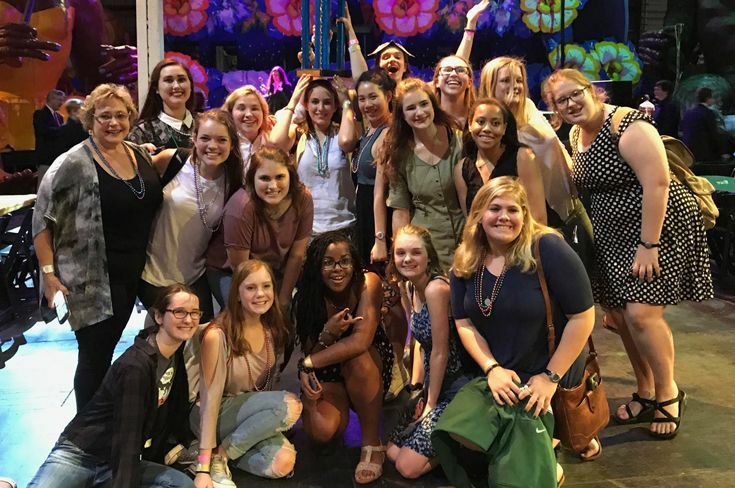 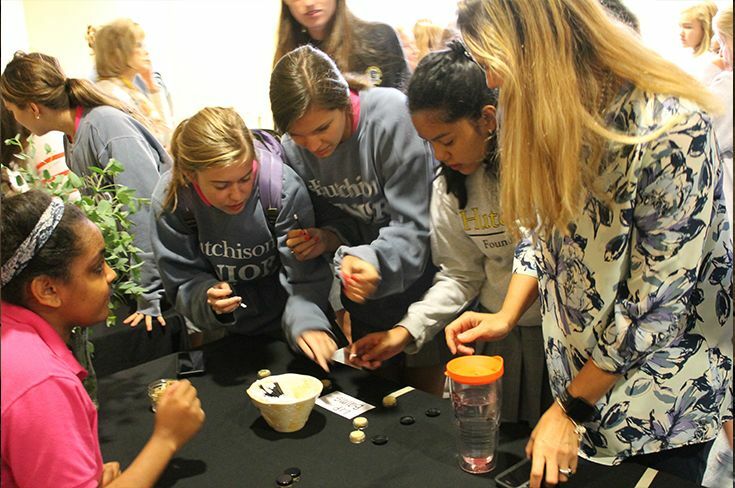 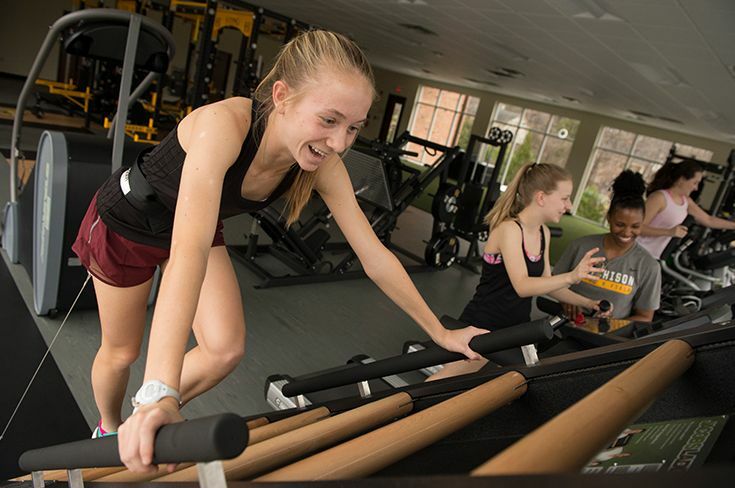 As a culmination of all the years of hard work at Hutchison, choosing a college may be one of the most challenging and important decisions a girl makes. 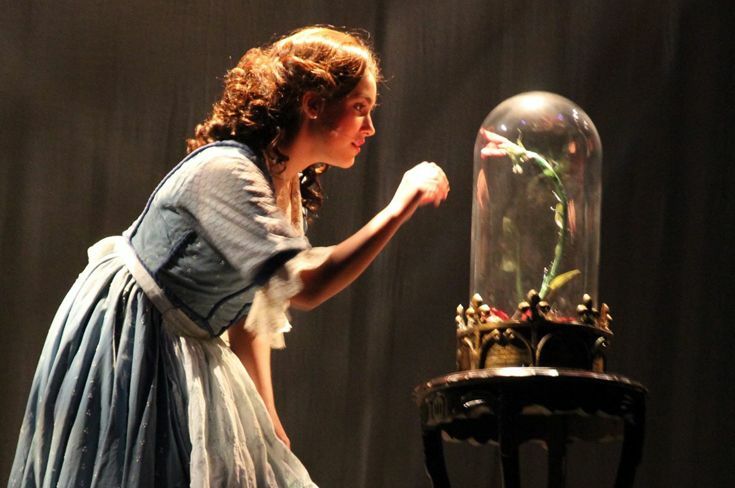 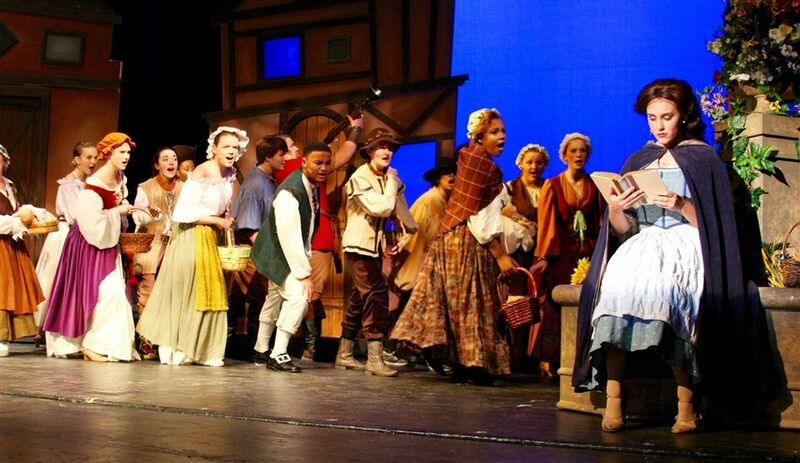 It’s also one of the most exciting. 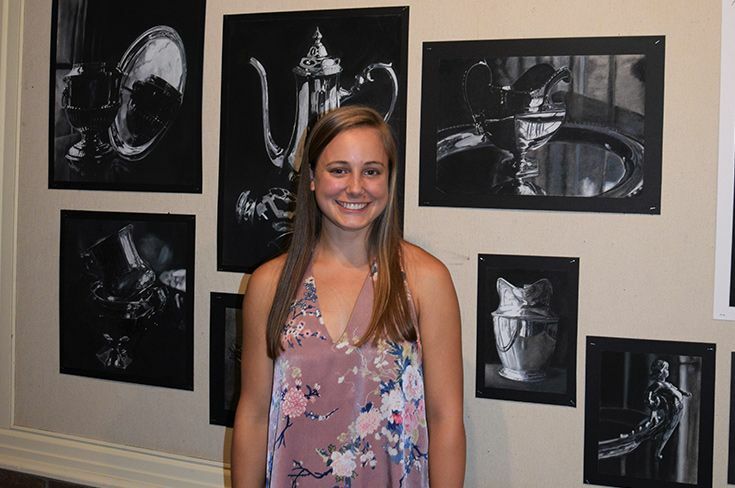 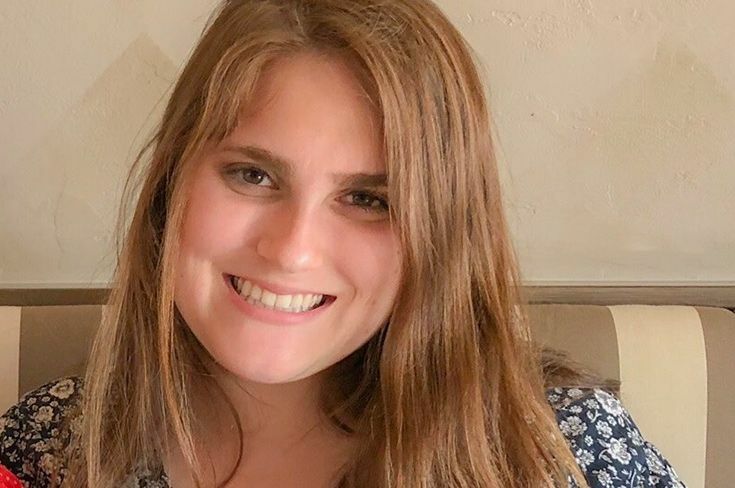 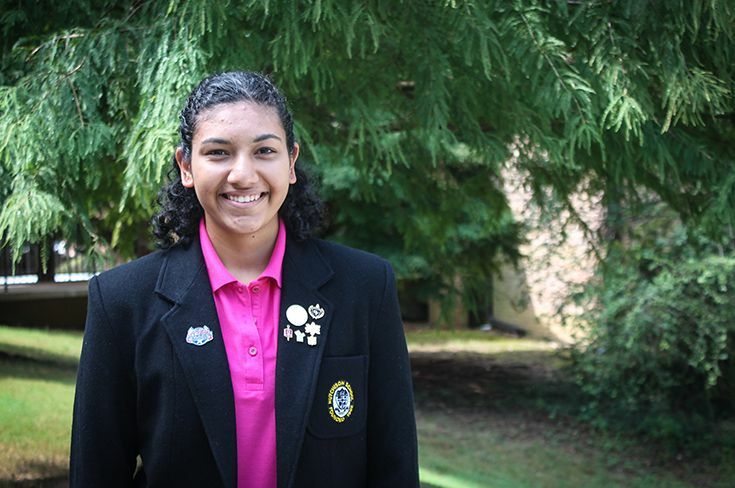 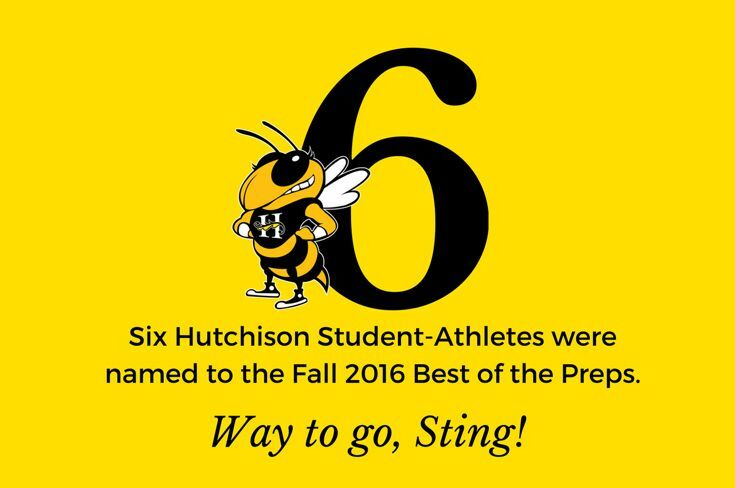 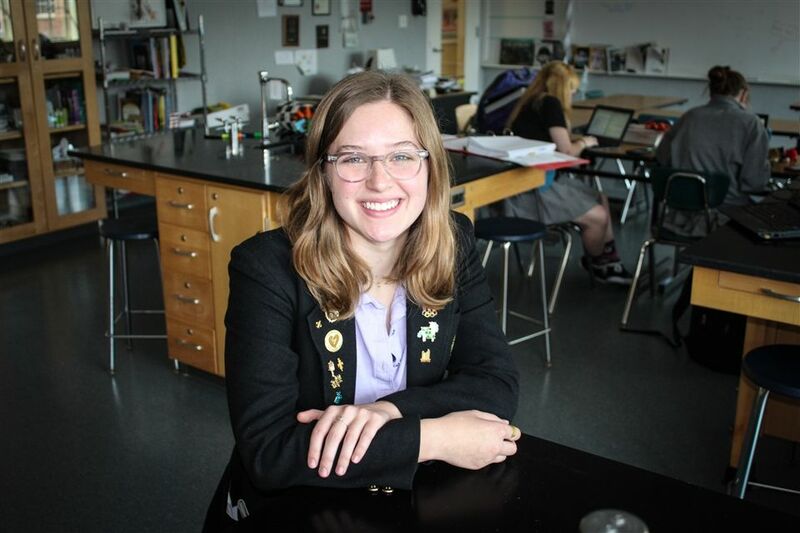 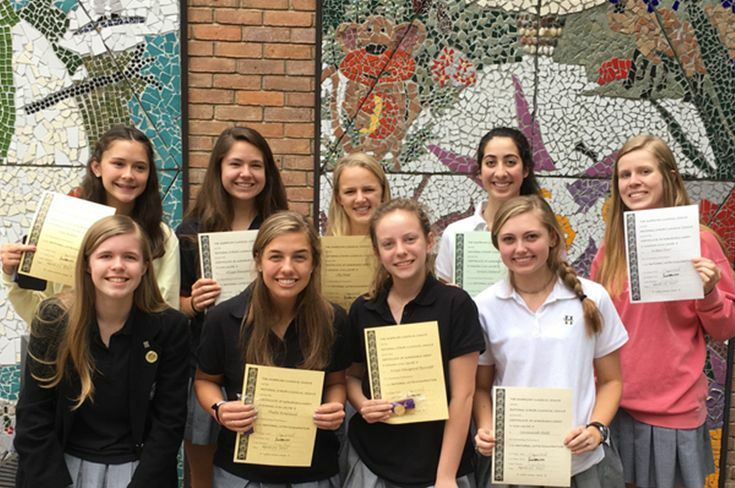 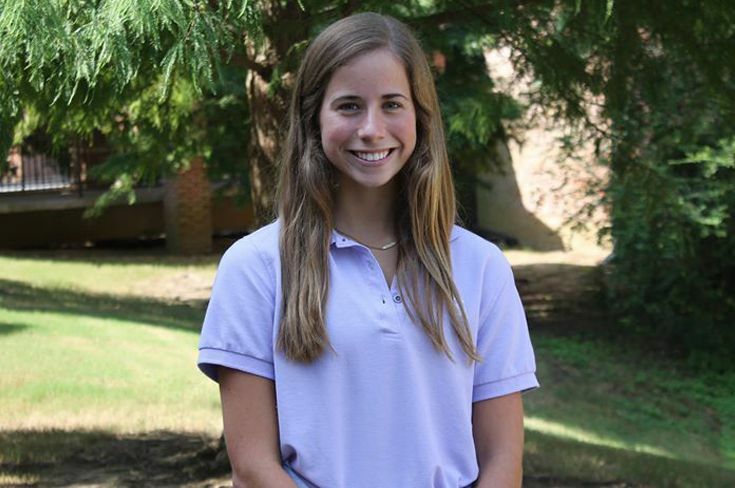 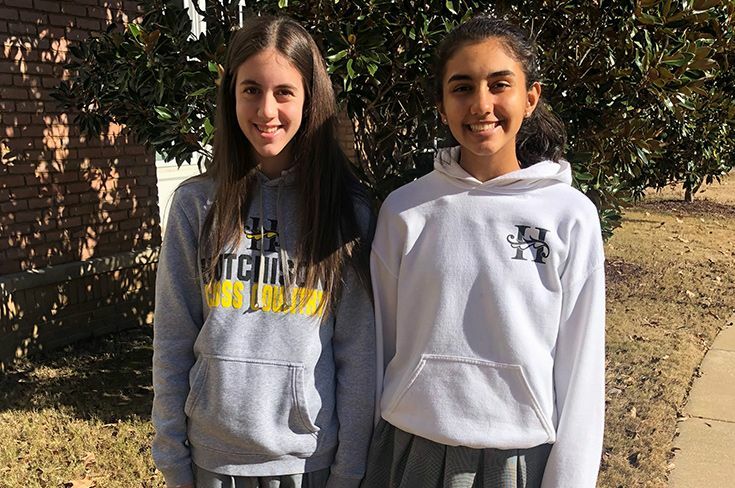 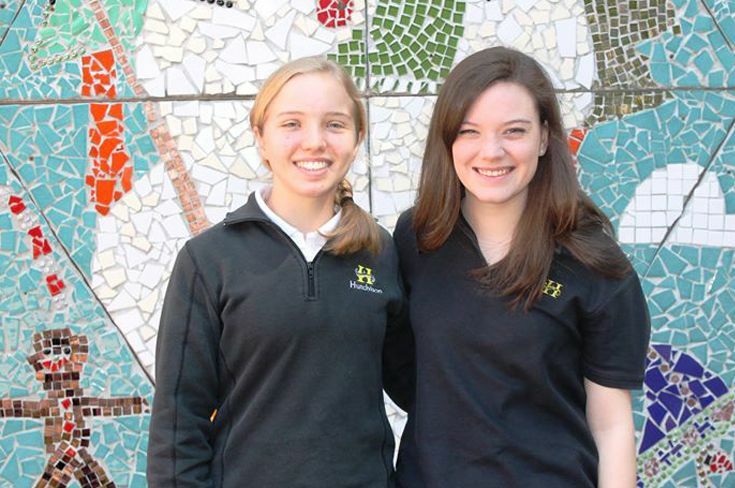 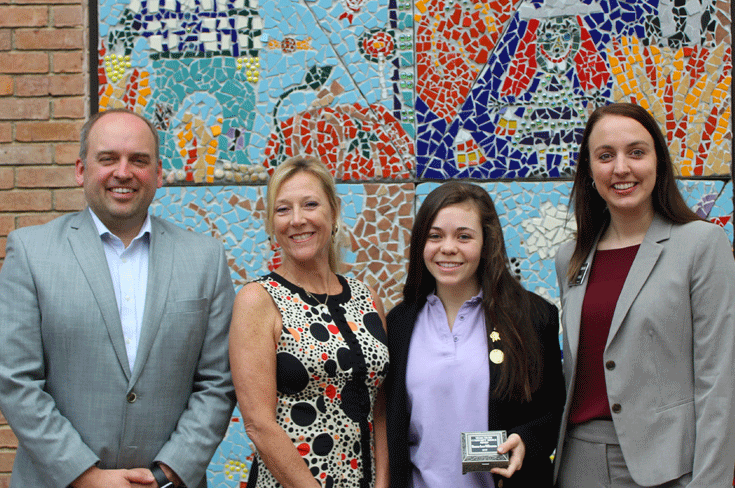 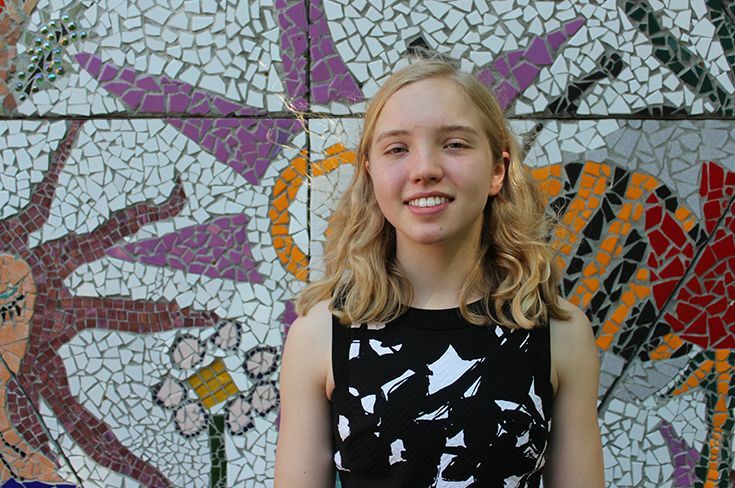 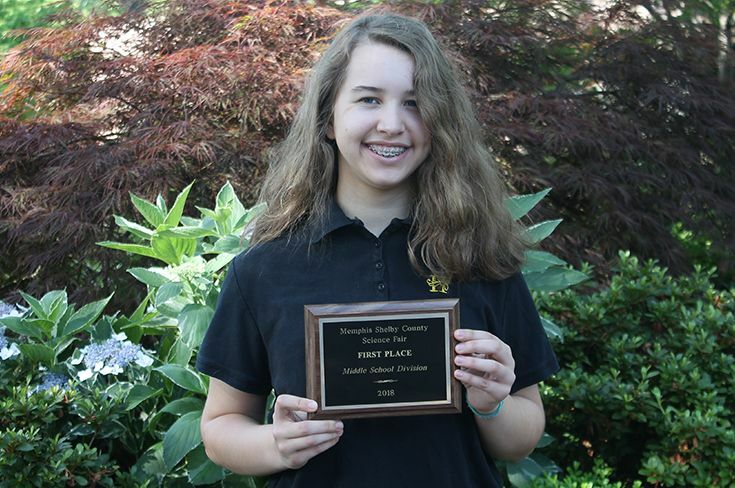 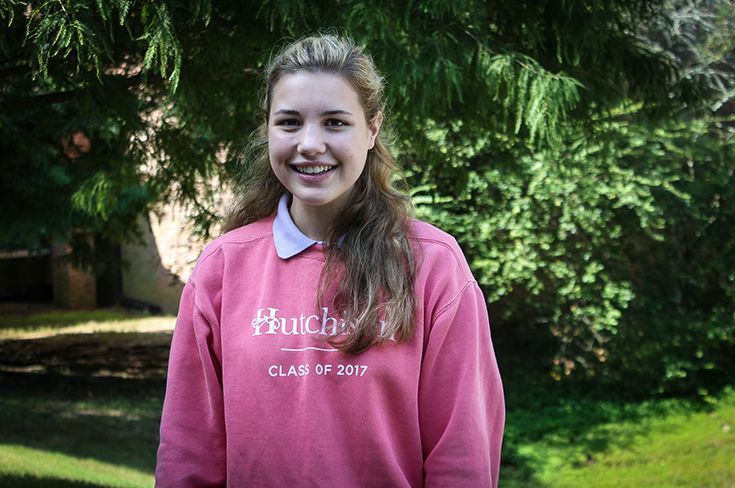 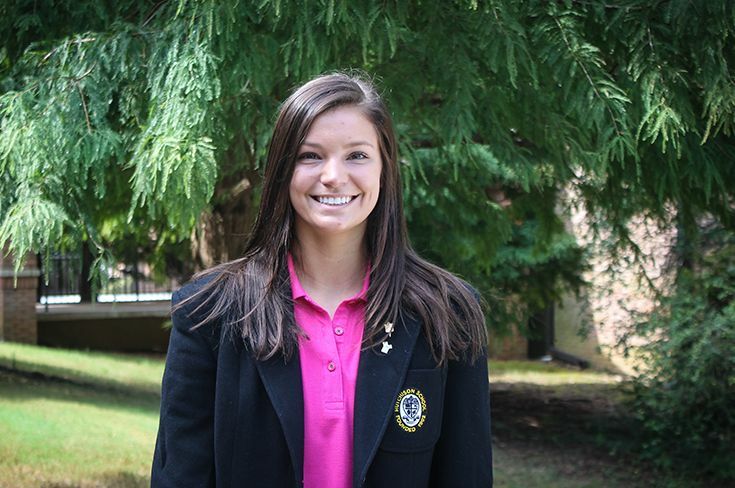 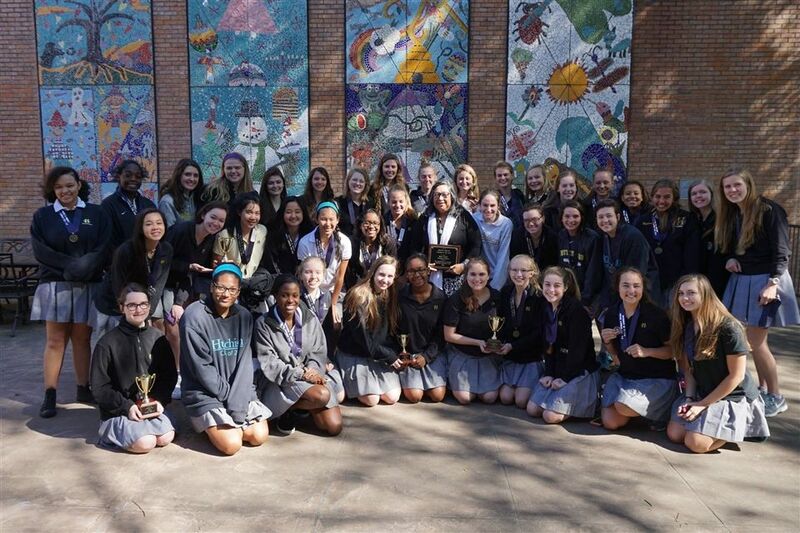 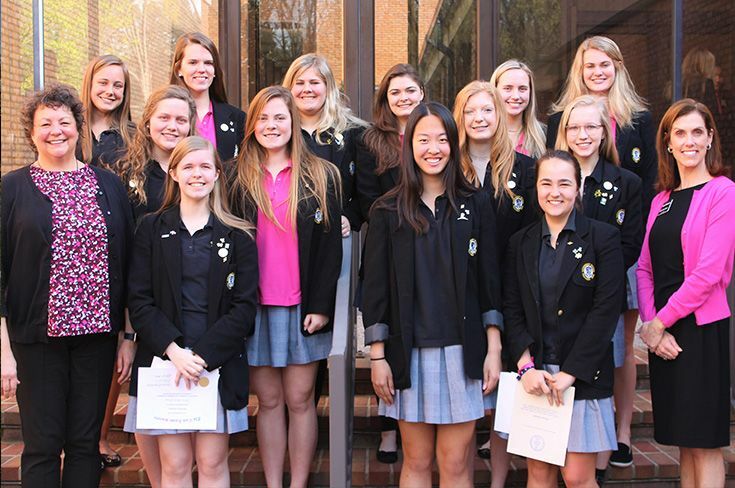 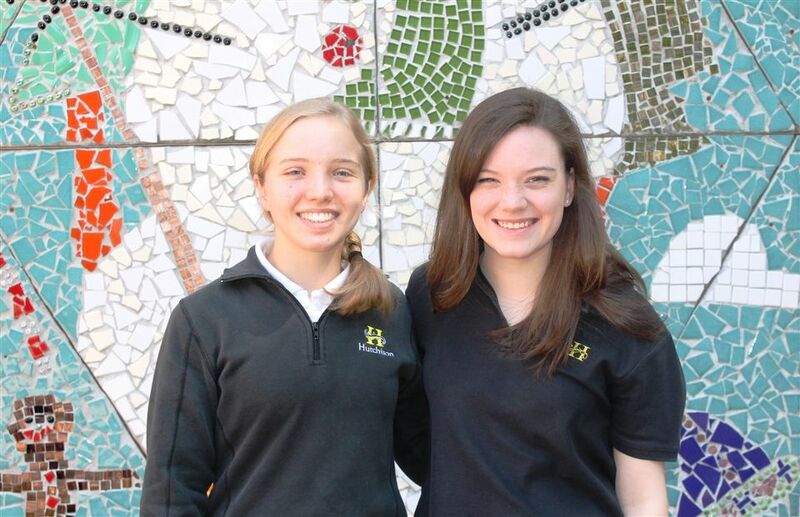 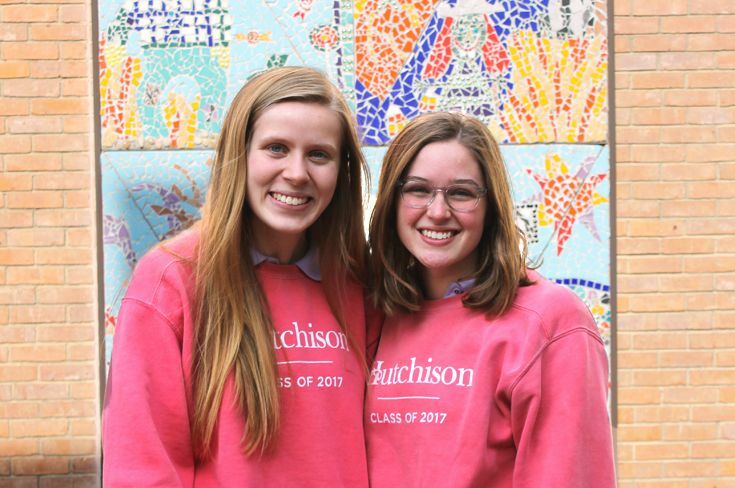 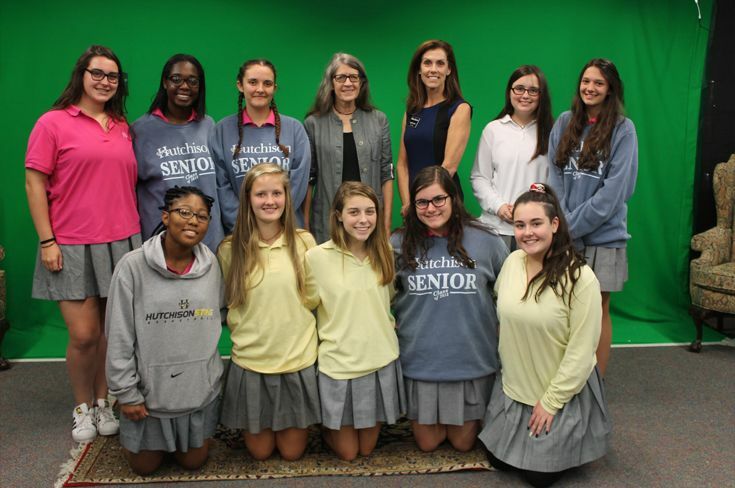 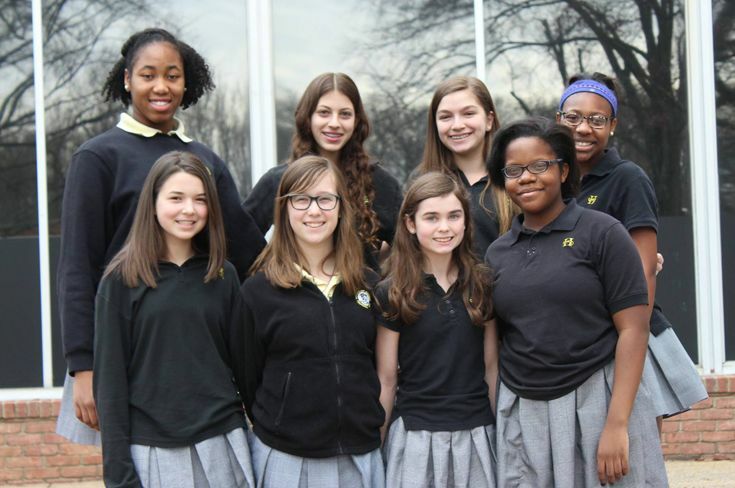 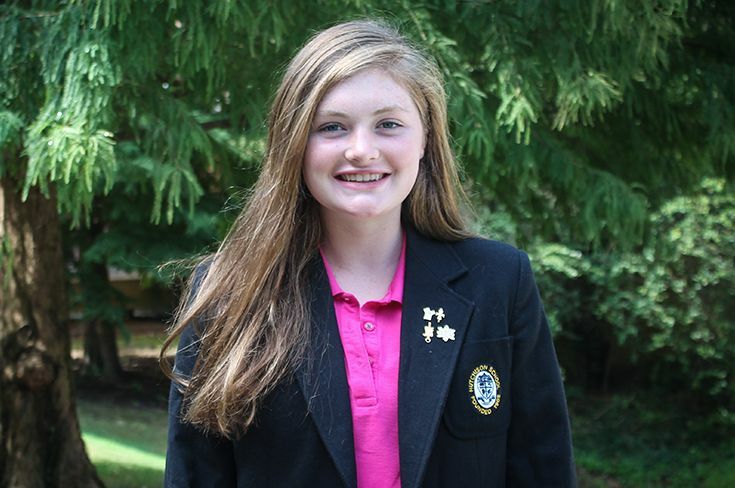 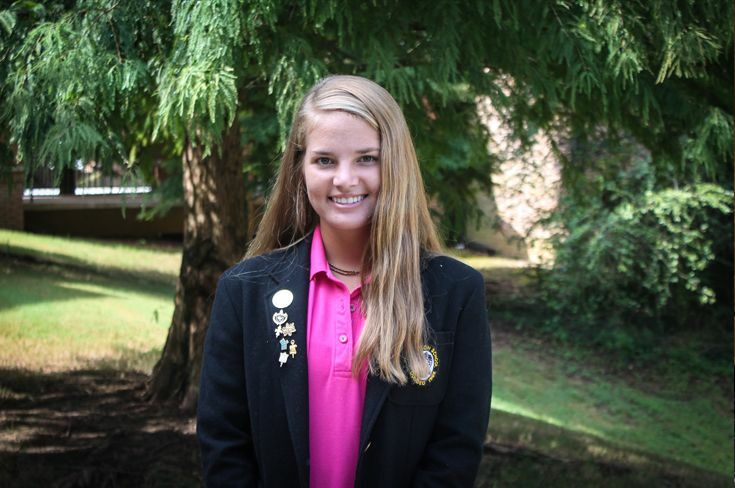 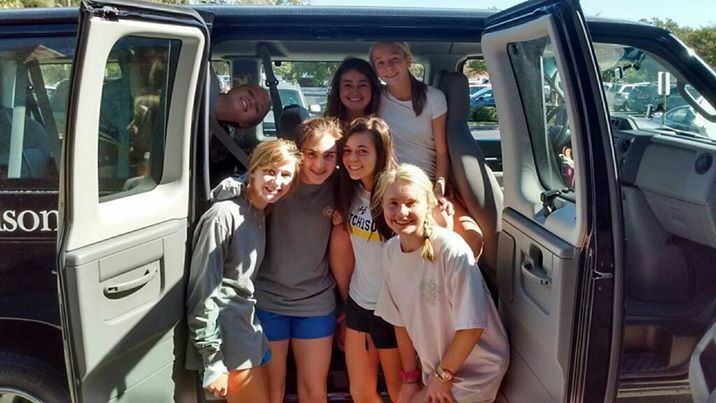 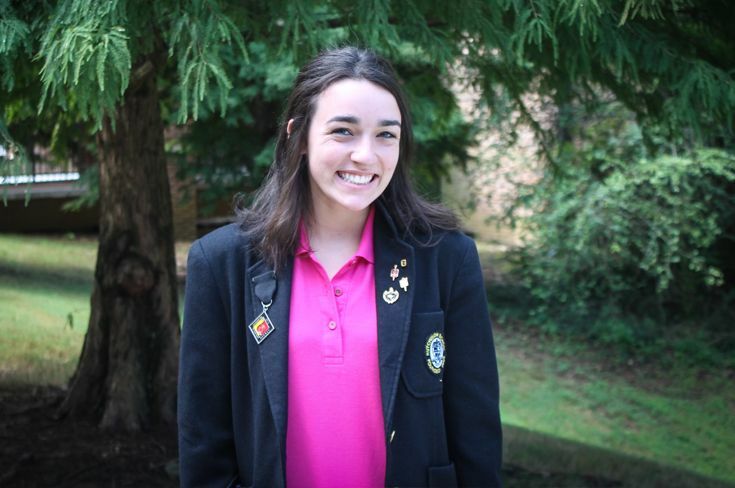 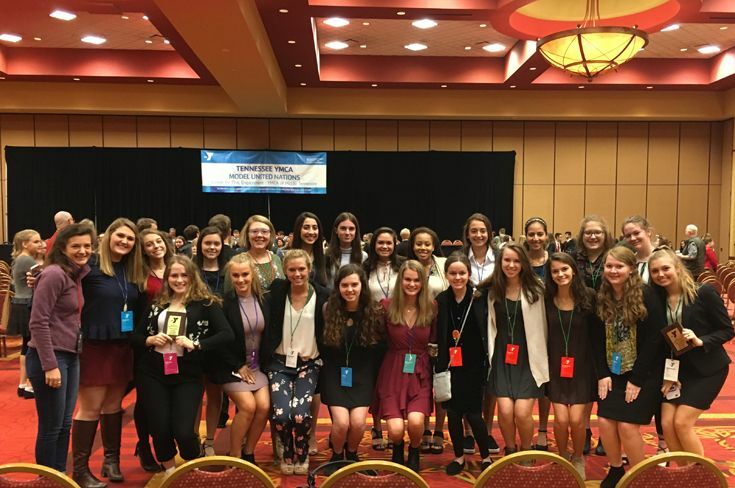 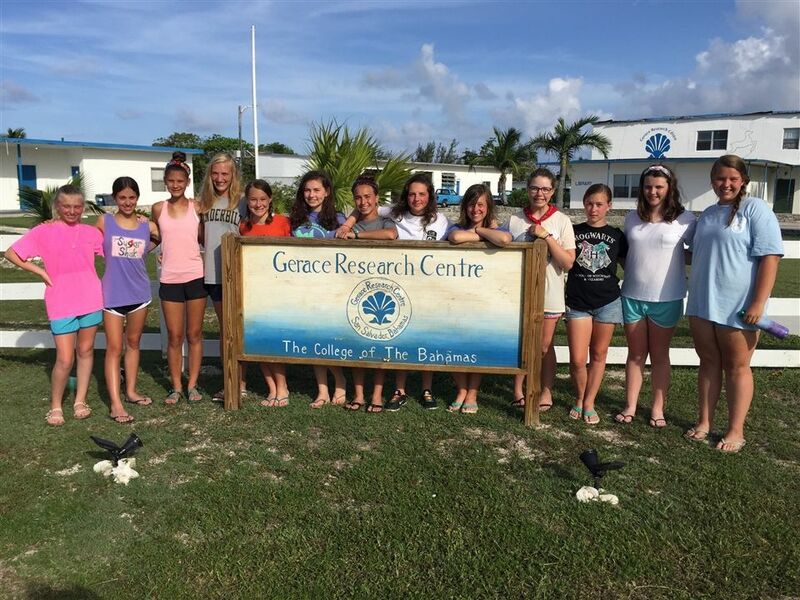 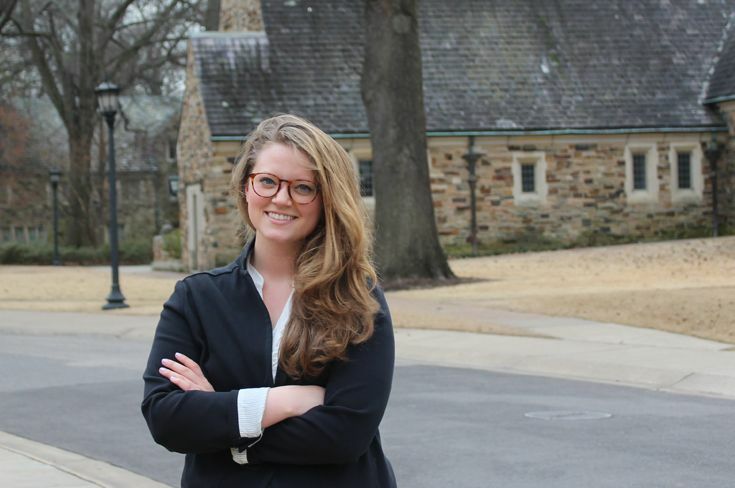 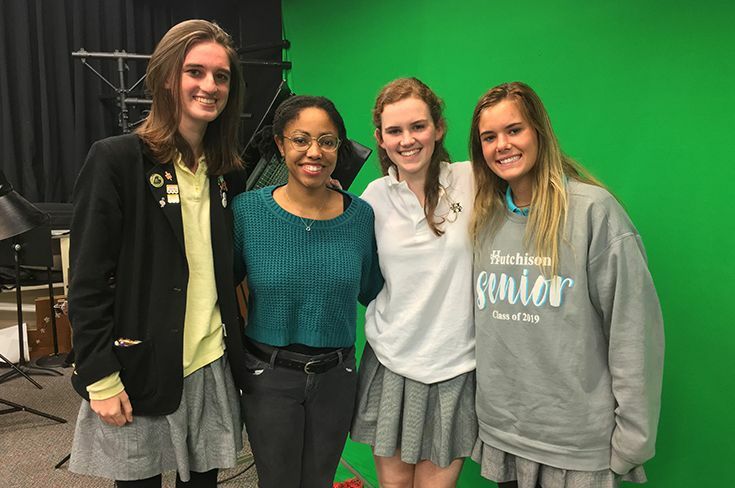 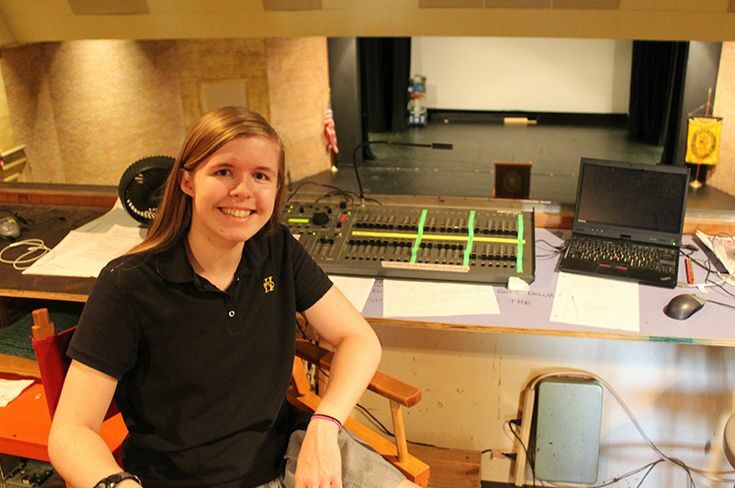 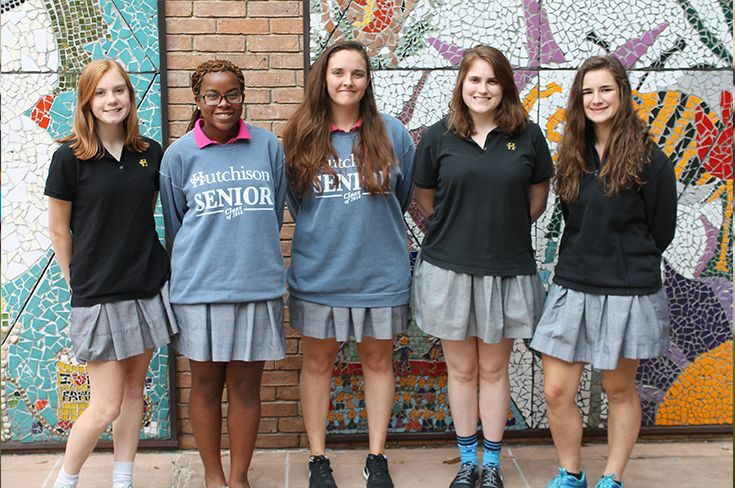 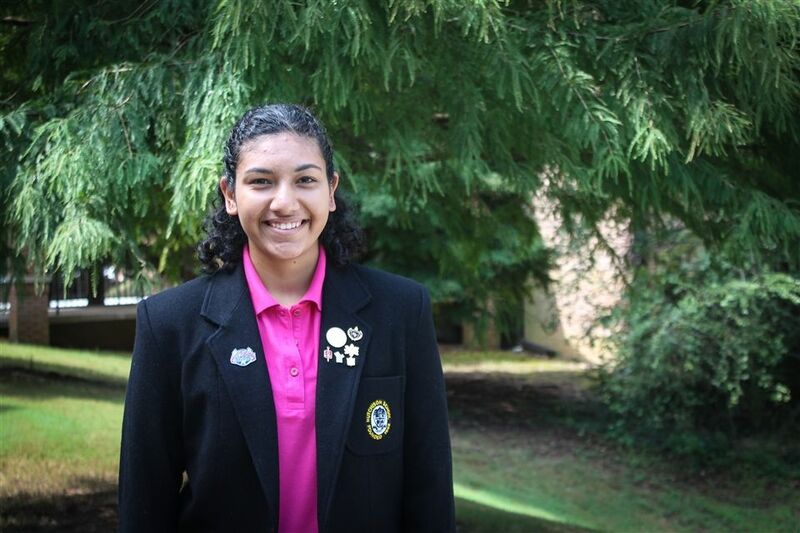 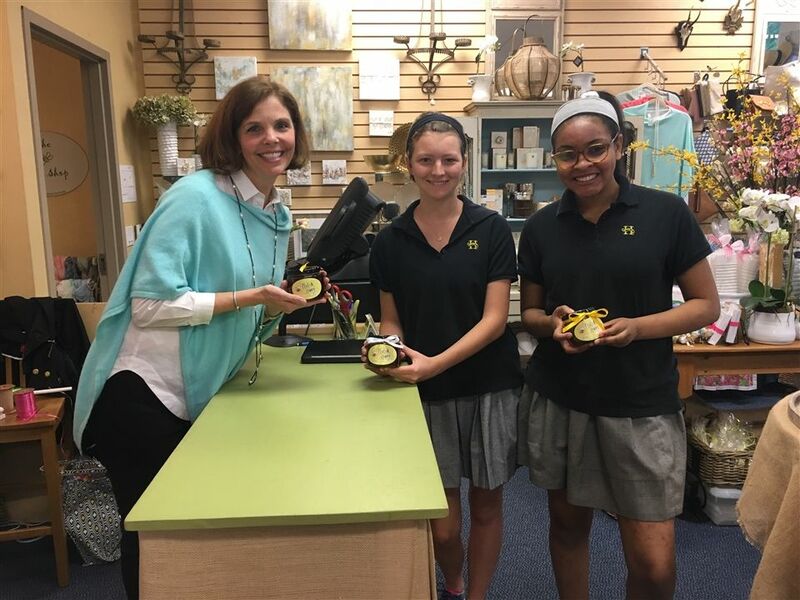 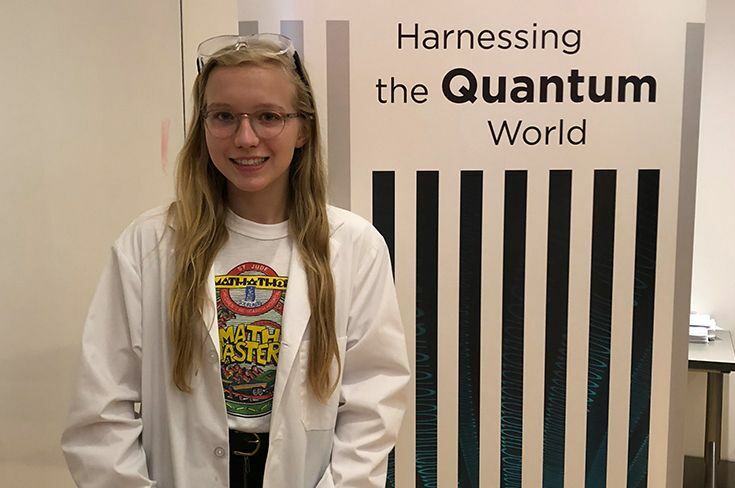 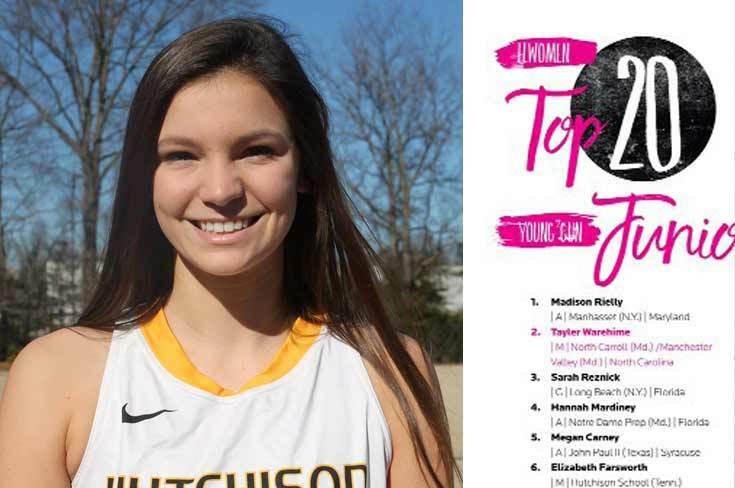 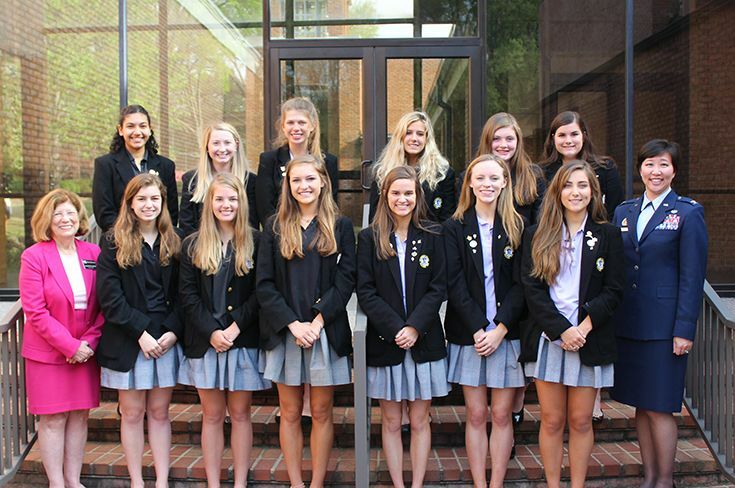 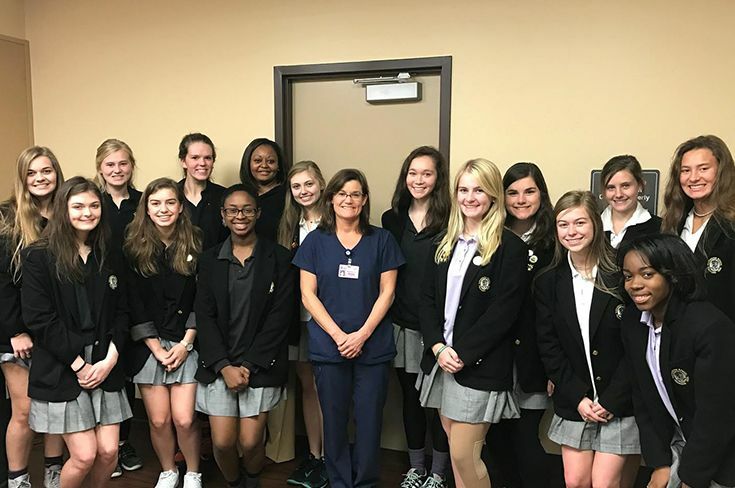 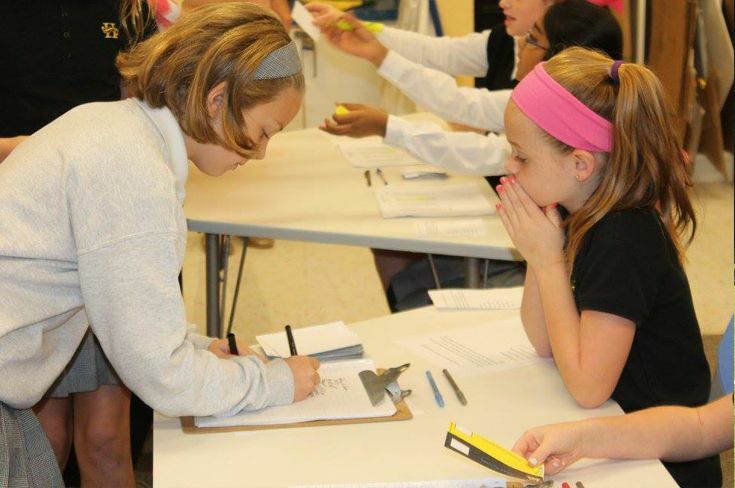 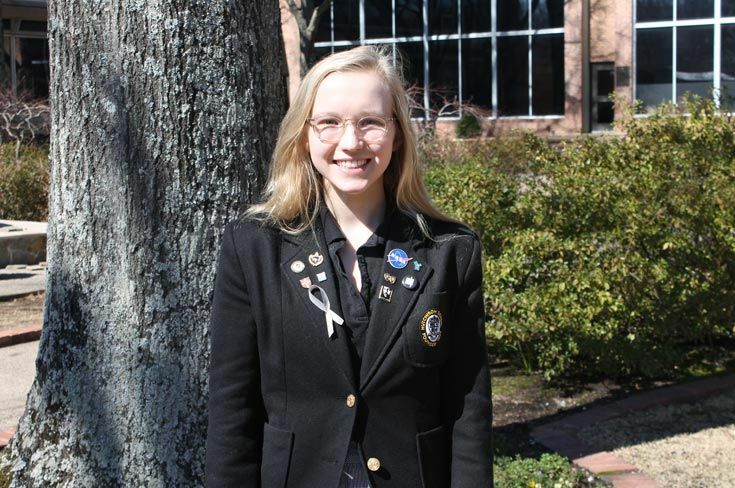 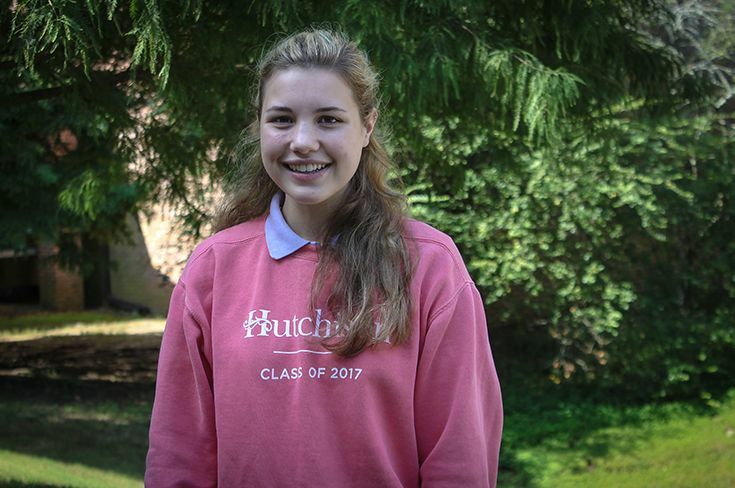 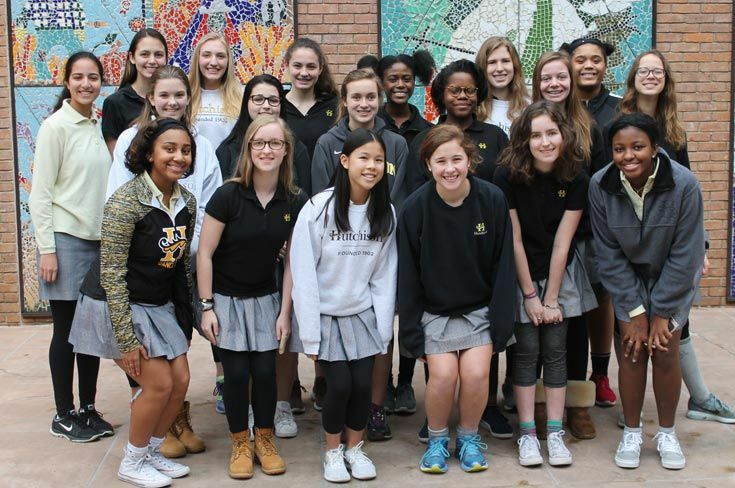 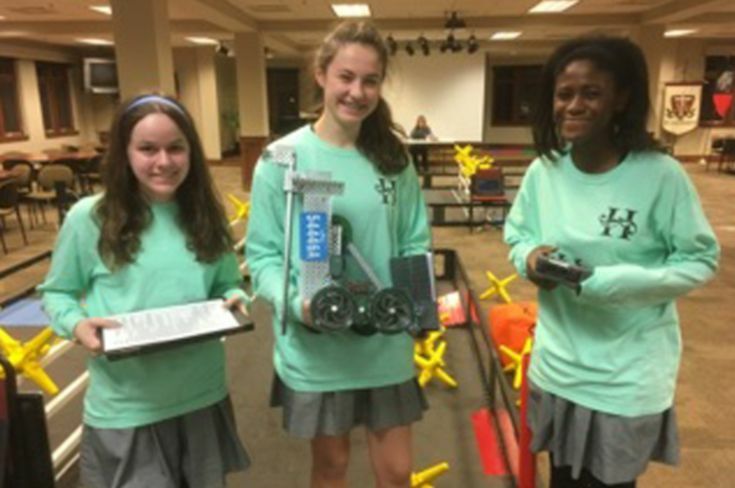 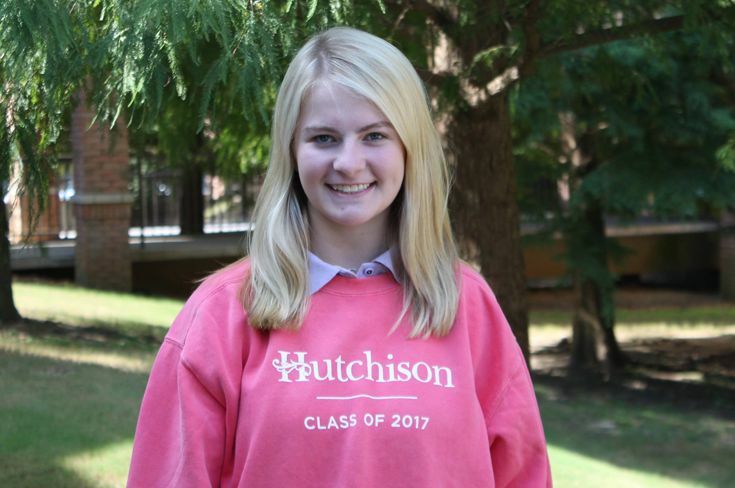 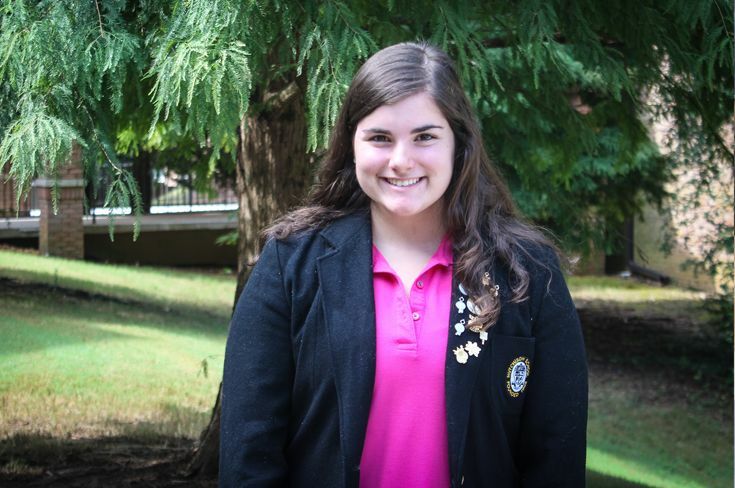 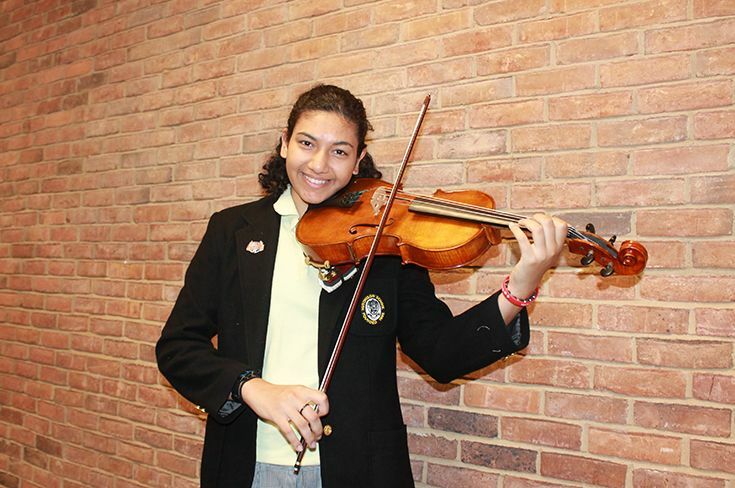 In order to make sure girls are on the right track, Hutchison starts the process in the second semester of ninth grade with course advising and continues it through to senior year with girls working side-by-side with a college counselor. 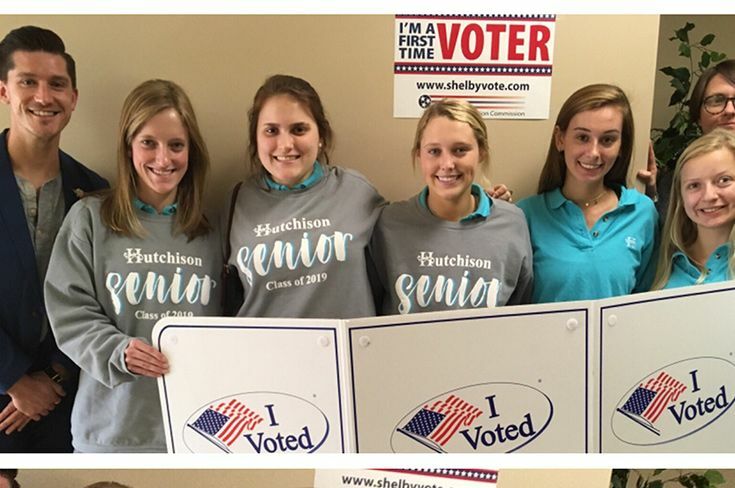 And with 100 percent of Hutchison seniors admitted to college, the college counseling office stays busy. 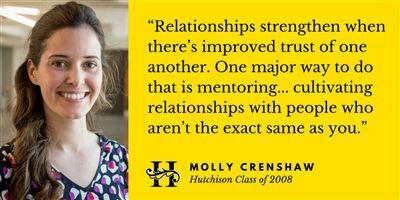 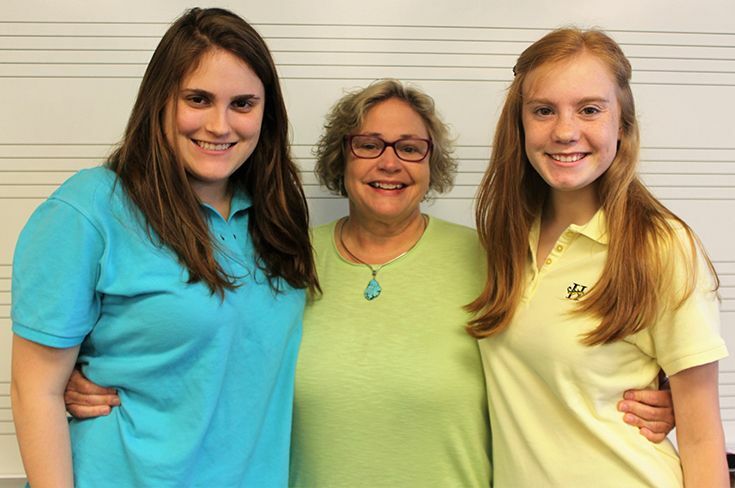 One of the things that differentiates the Hutchison college counseling department is that there are three full-time counselors, and they all have had experience working at universities and colleges in admissions. 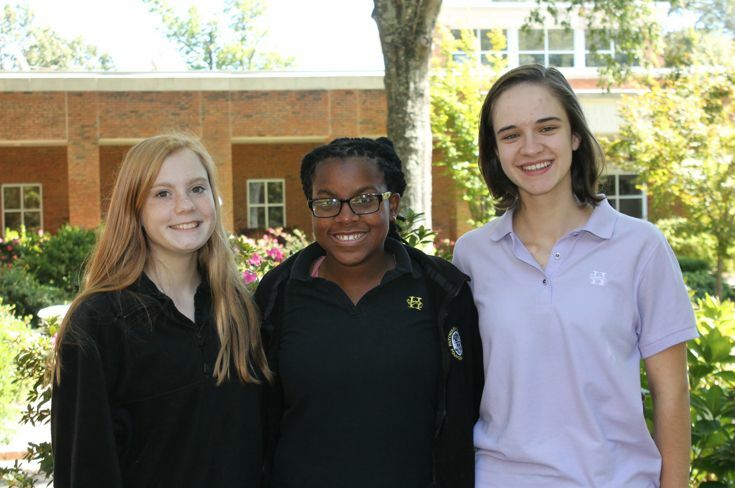 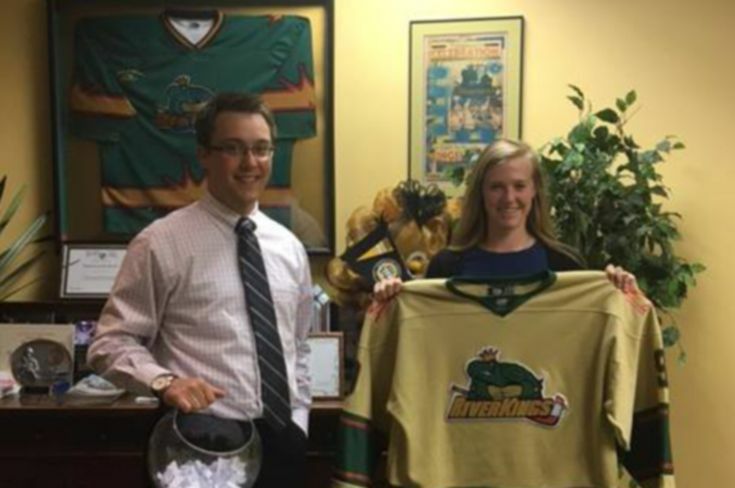 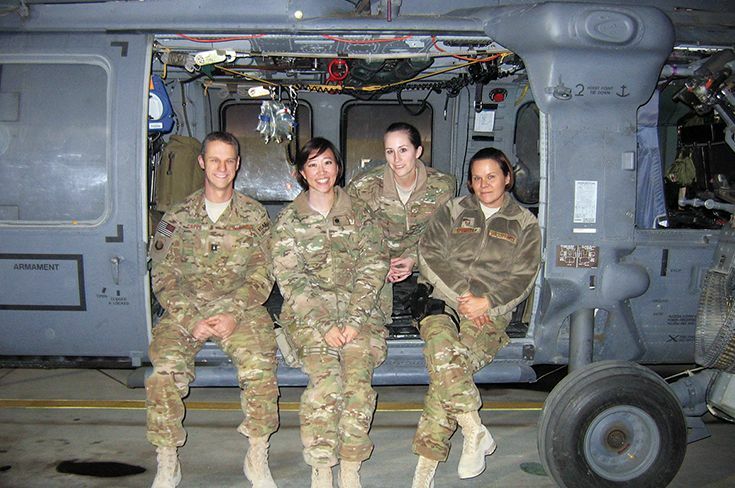 For Colpitts, Caroline Willson, and Michele Davis, the newest college counselor, getting to know the girls is why they enjoy their jobs. 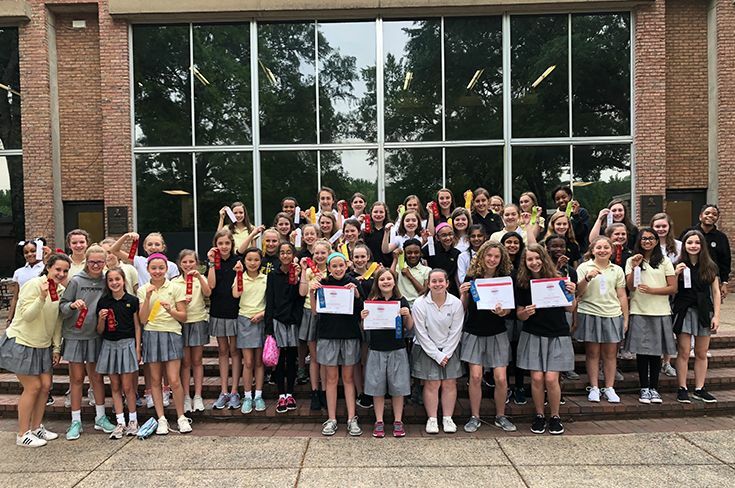 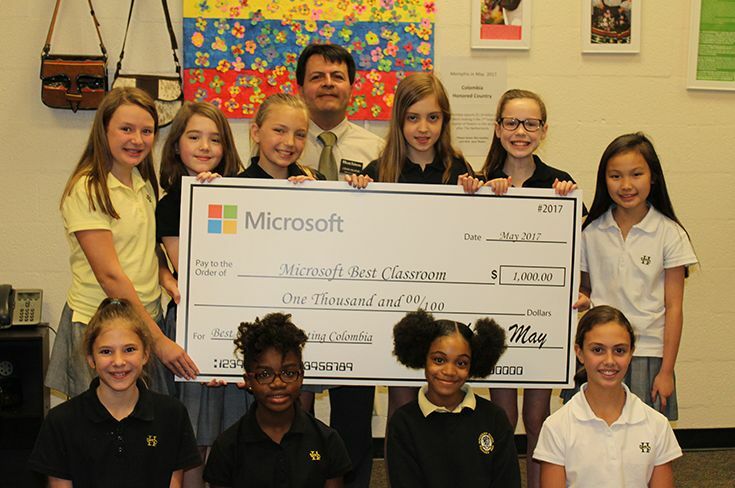 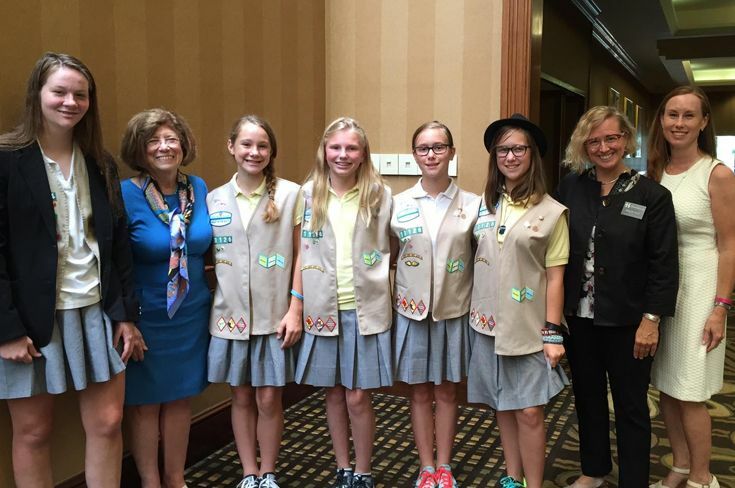 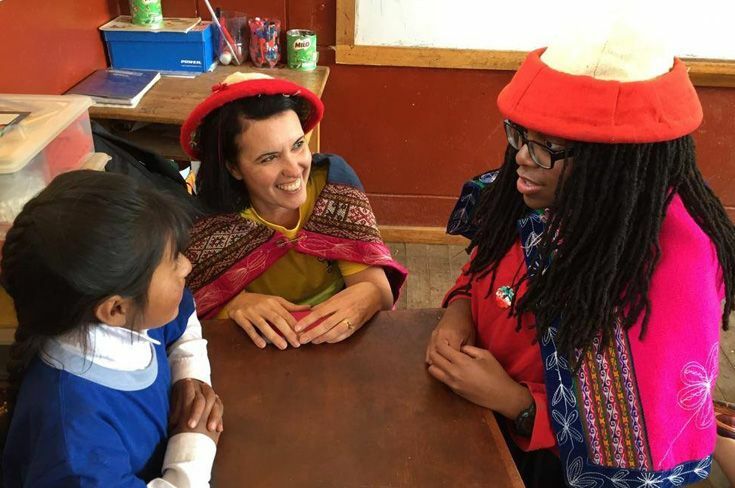 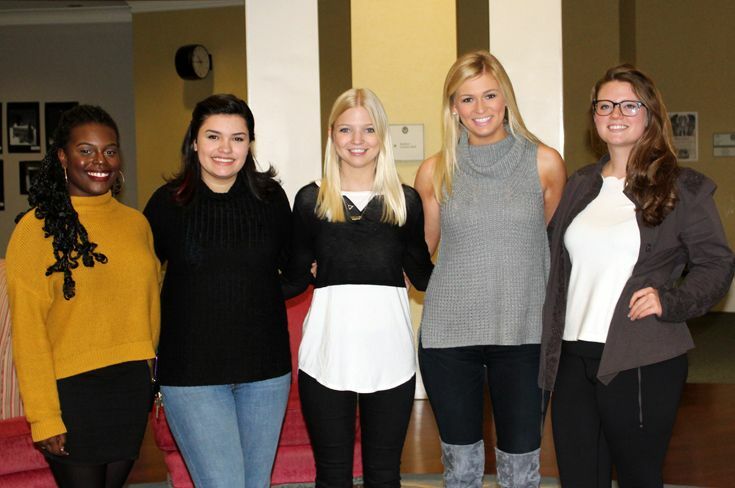 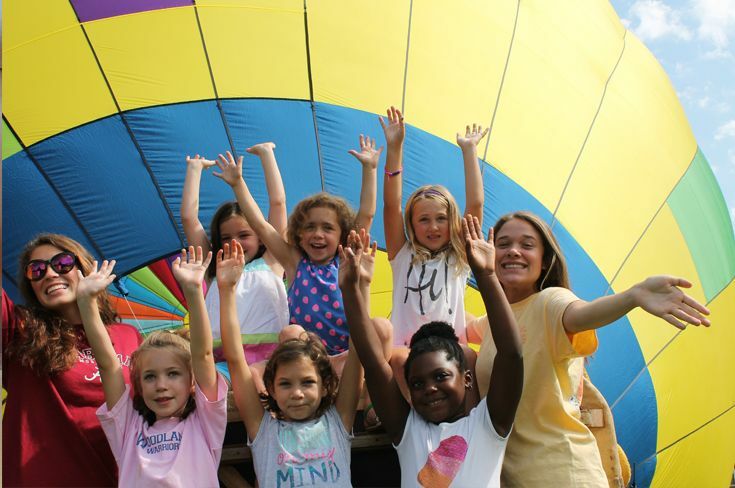 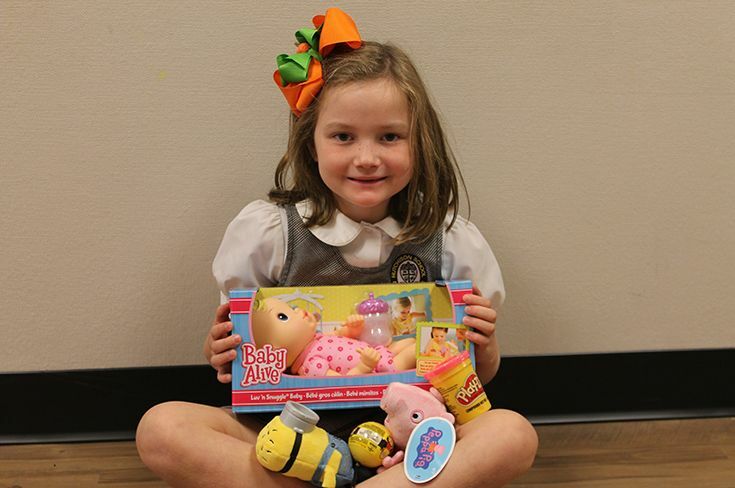 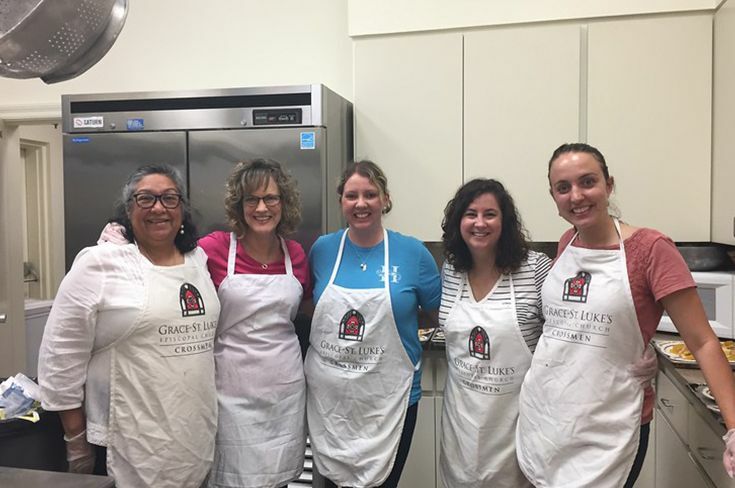 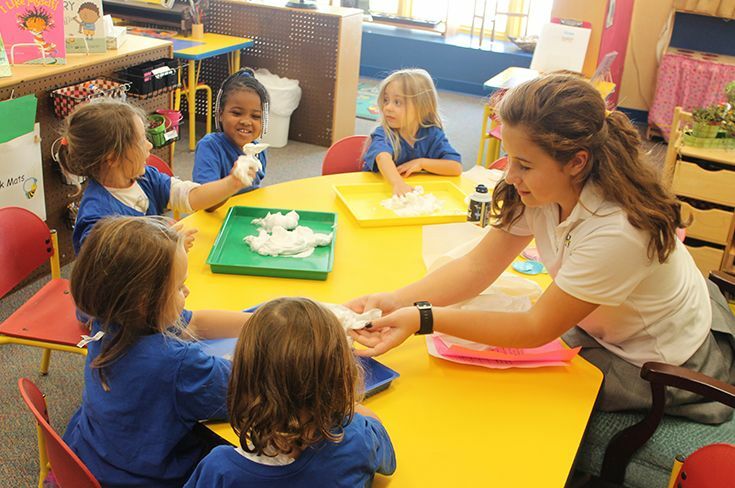 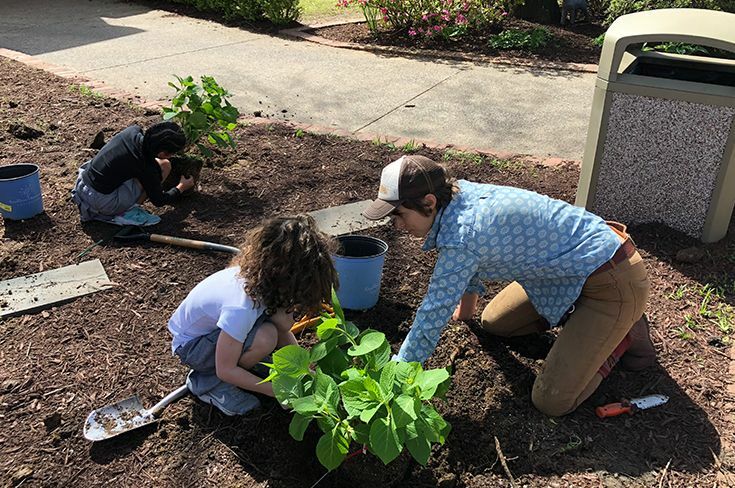 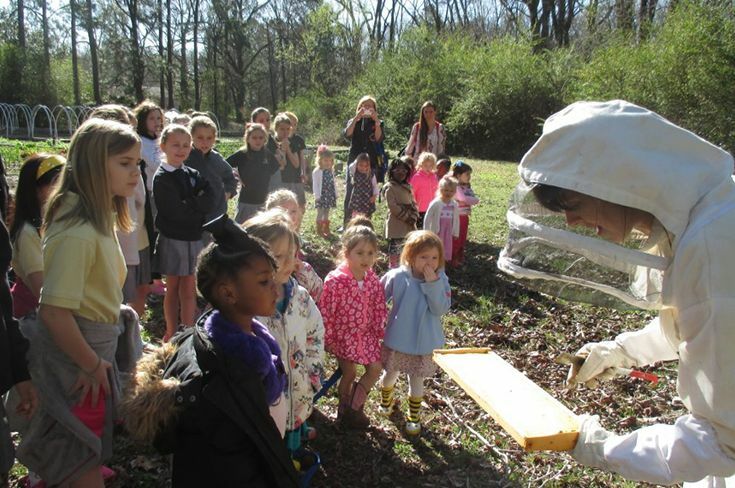 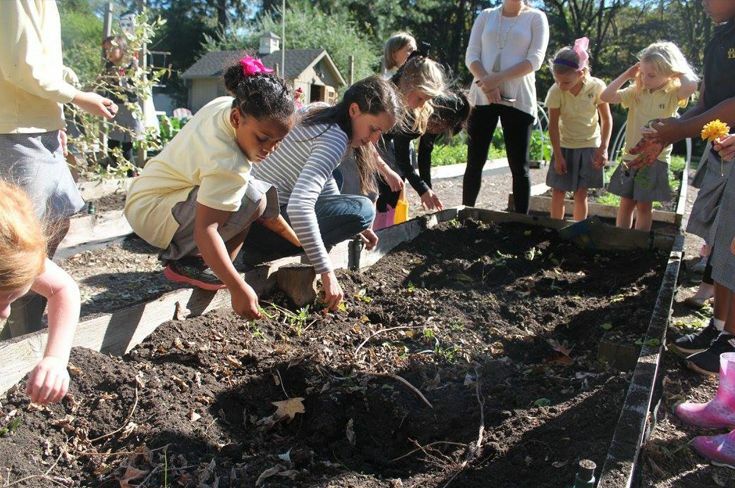 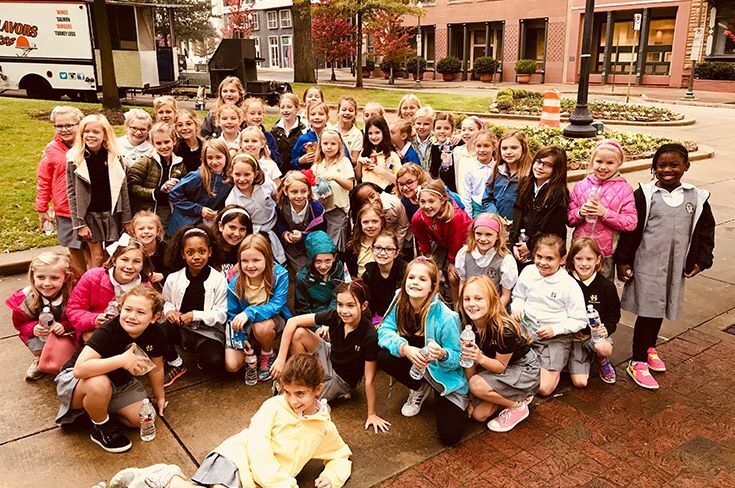 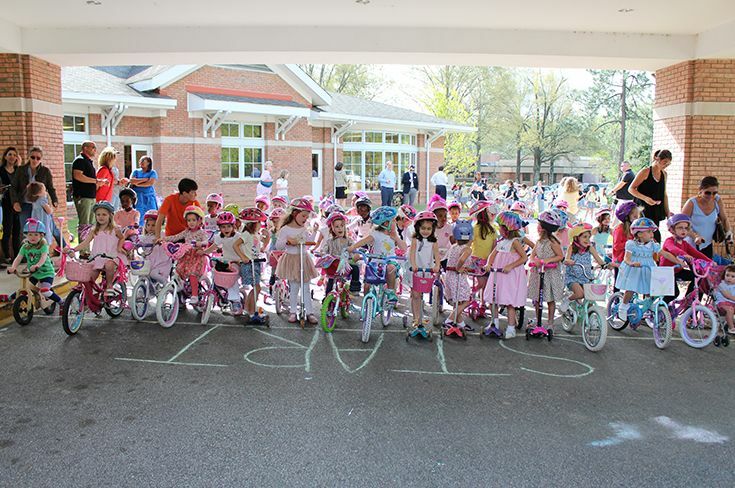 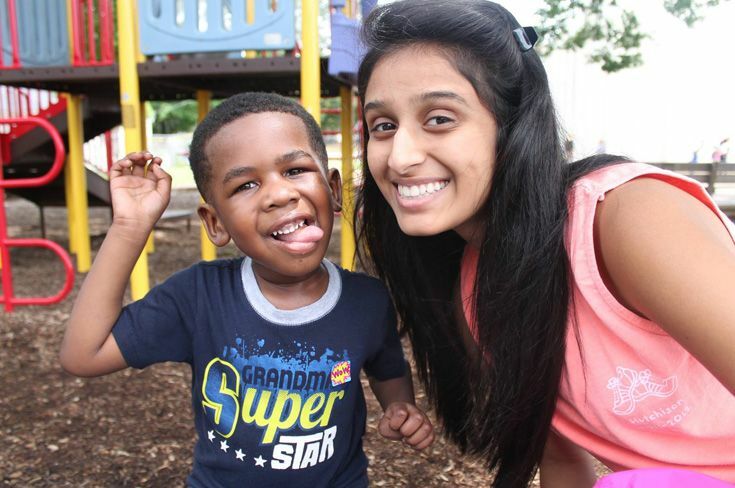 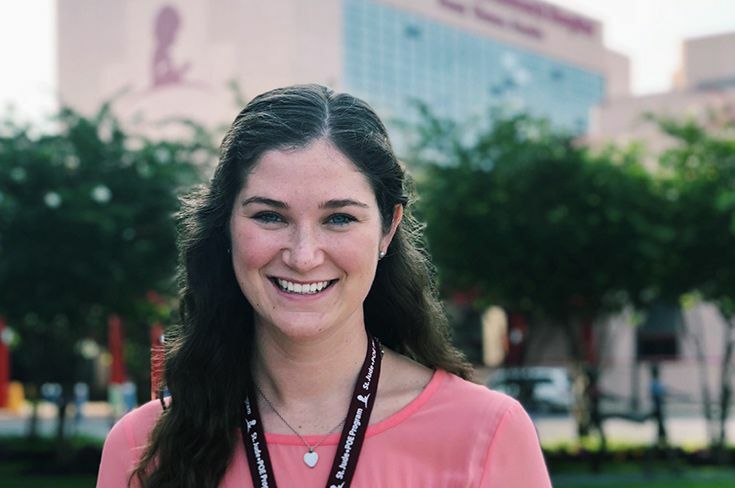 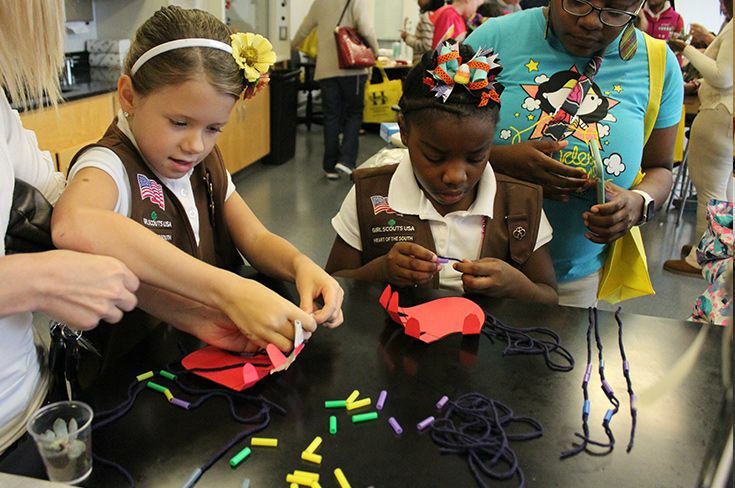 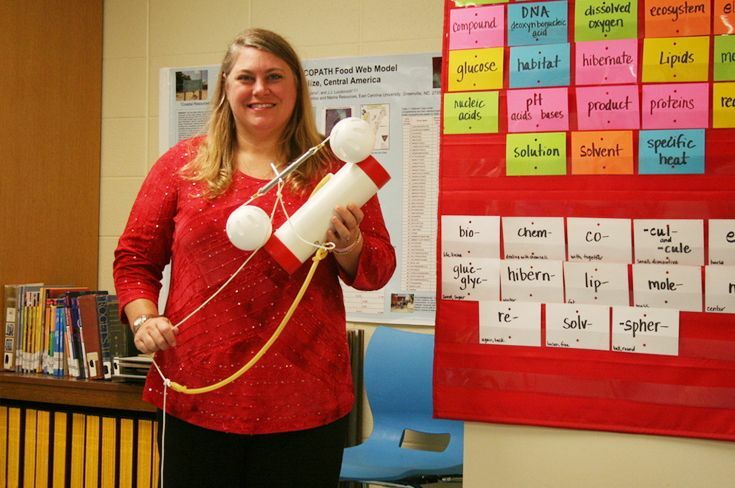 “We love helping the girls think about college,” Colpitts said, “but also seeing them develop over four years; that’s really amazing.” The department is supported by Victoria Busse, who serves as the college counseling coordinator. 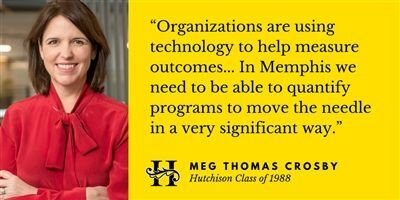 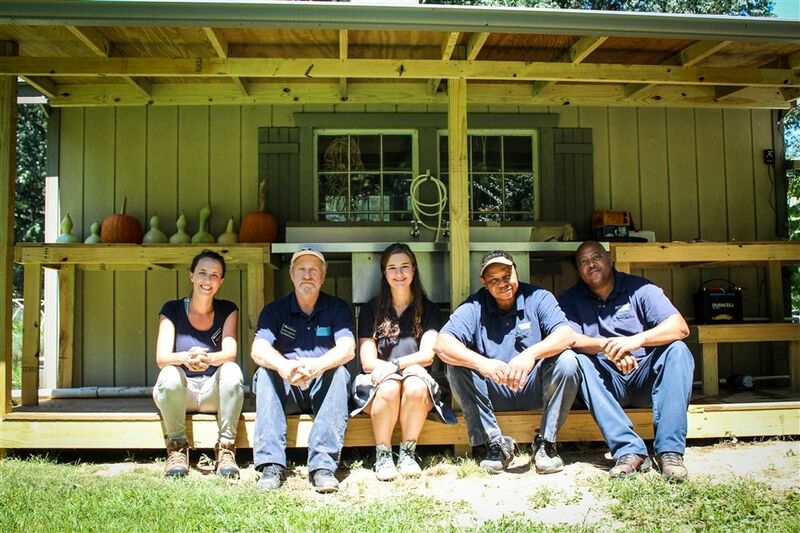 With this in mind, the department strives to create an environment that welcomes questions. 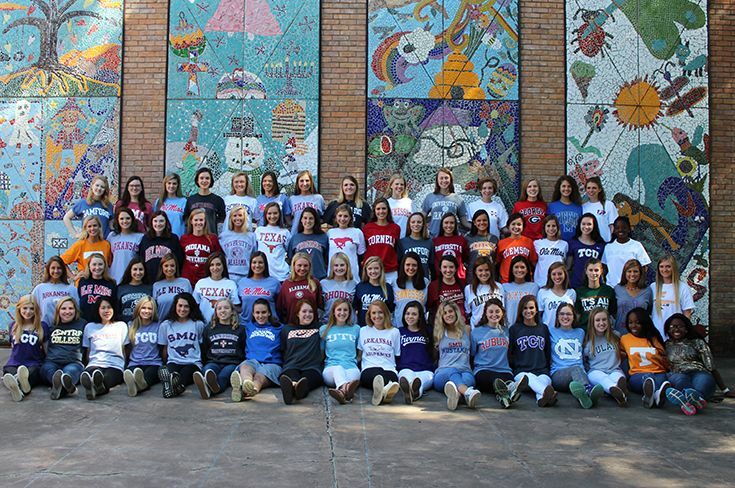 It’s no coincidence that the college counseling office is located right across the hall from the senior commons. 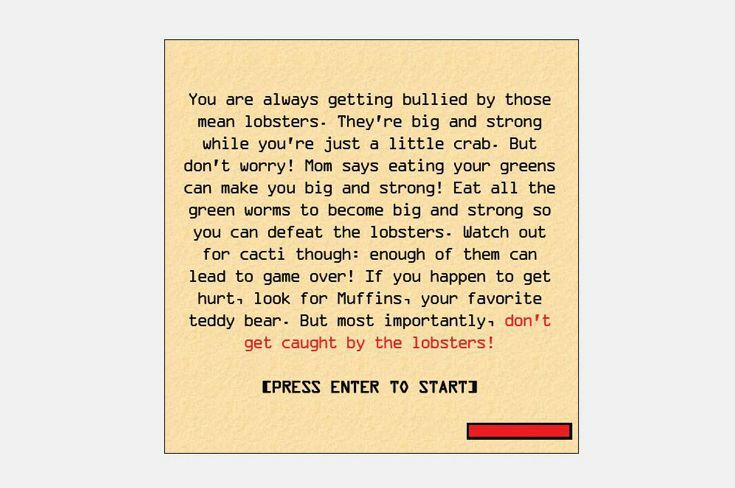 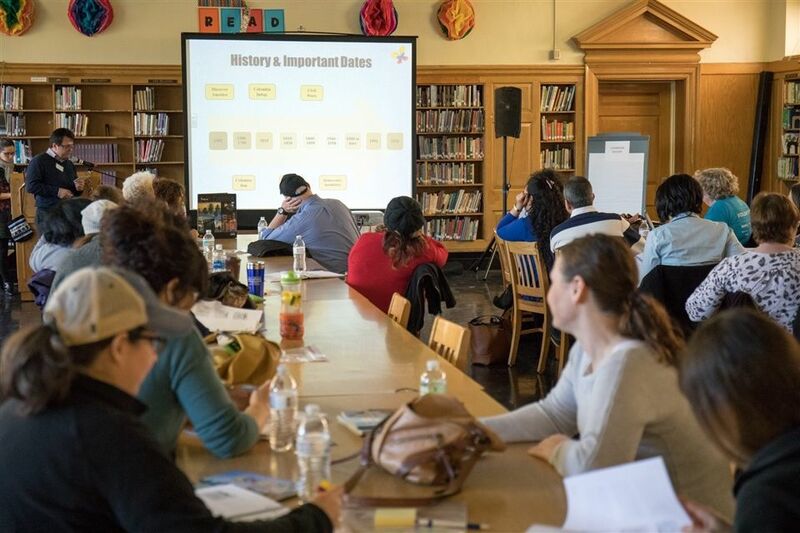 Additionally, because there is a lot of information on the internet—some of it unhelpful or even incorrect—the counselors want parents to be comfortable picking up the phone to call and ask questions. 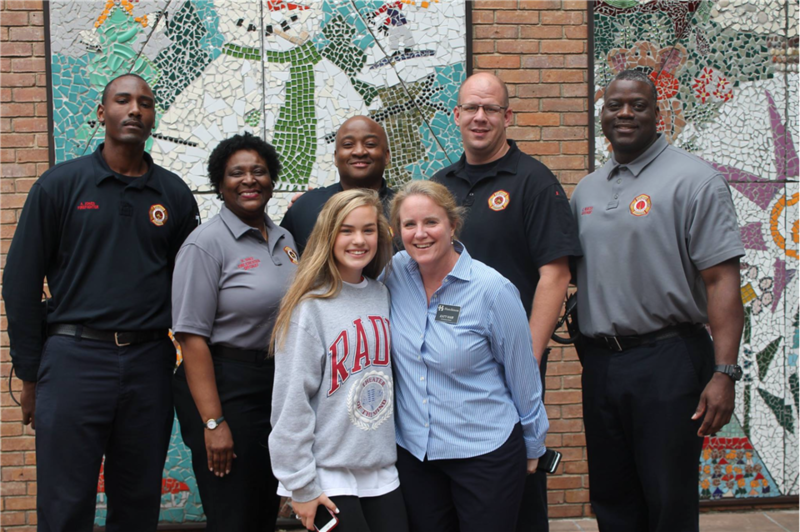 The goal, Colpitts emphasized, is to manage the stress level and keep the process moving forward. 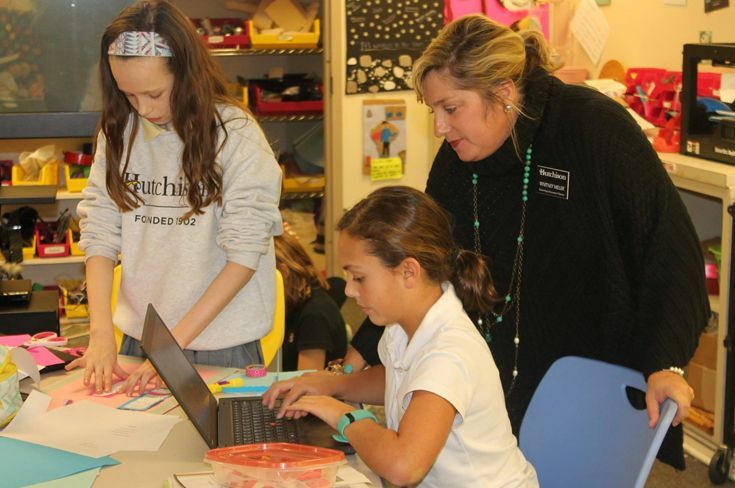 The counselors and students use a search tool called Naviance that helps them look at data from previous years’ applications for comparison and decision making. 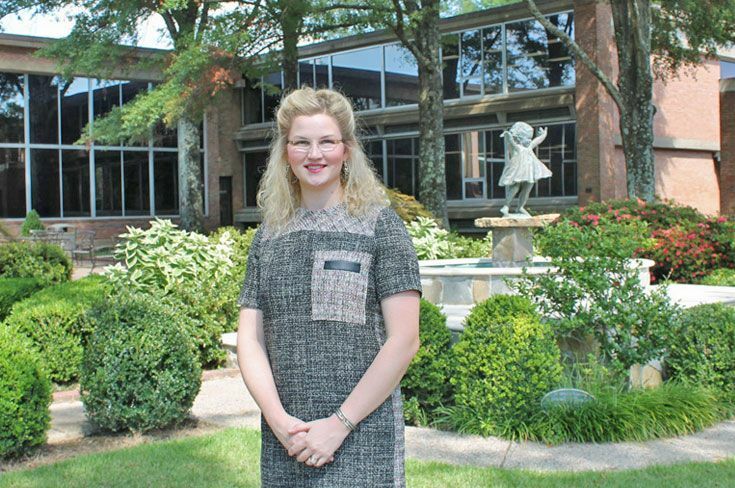 It also offers a streamlined system for sending transcripts and applications. 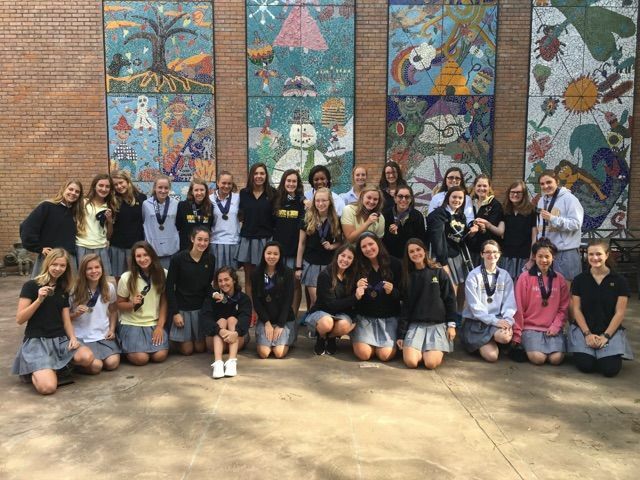 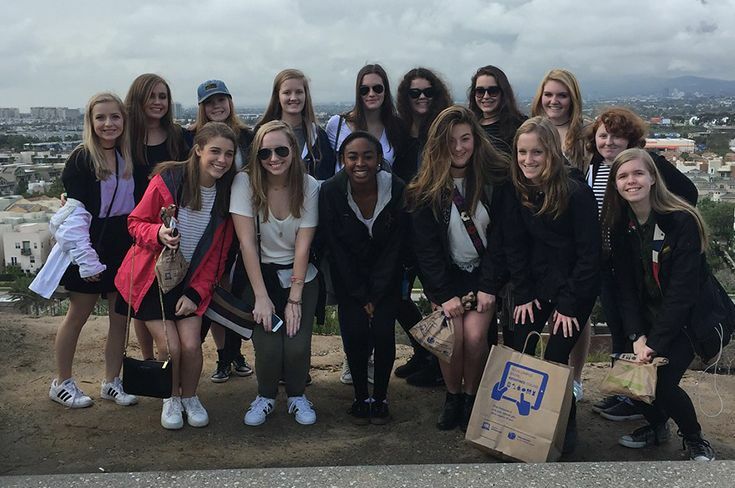 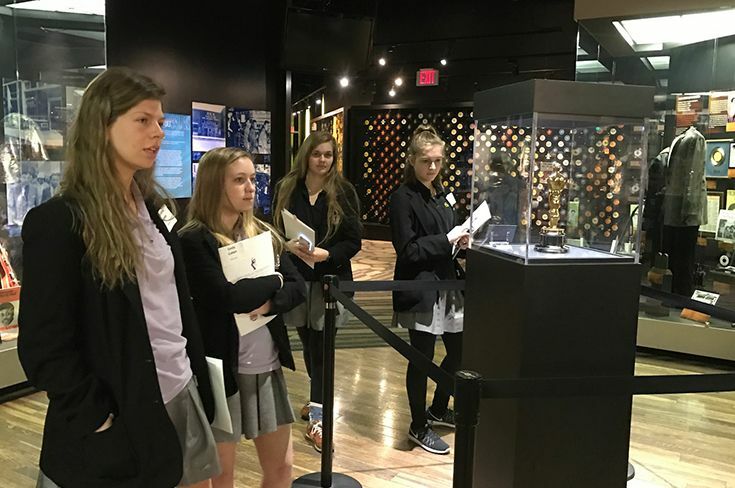 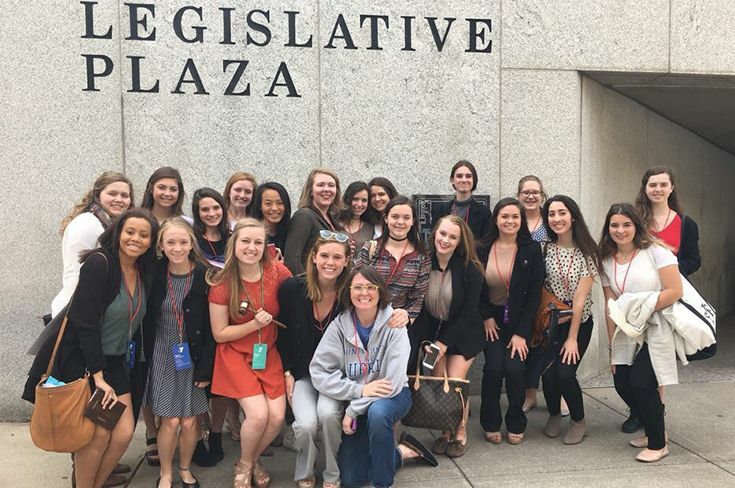 In addition to individual meetings with girls, college counseling also offers resume workshops, co-hosts college fairs for all upper school girls, and leads college tour trips throughout the U.S. 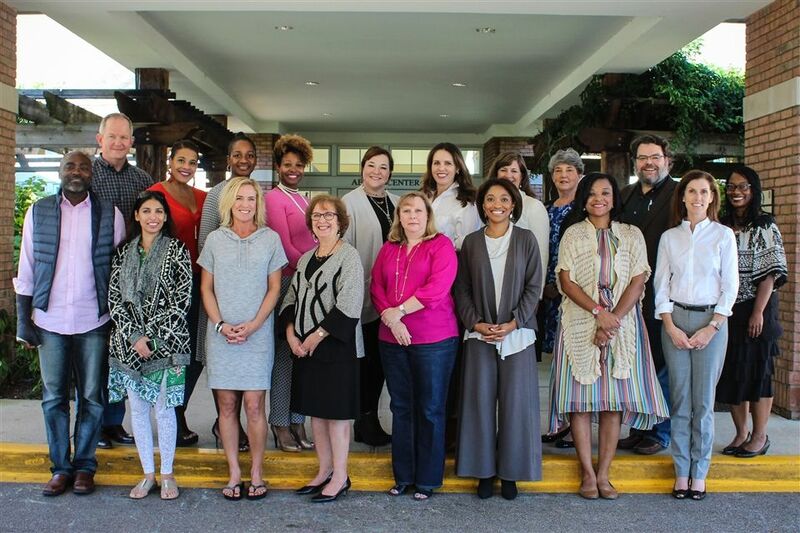 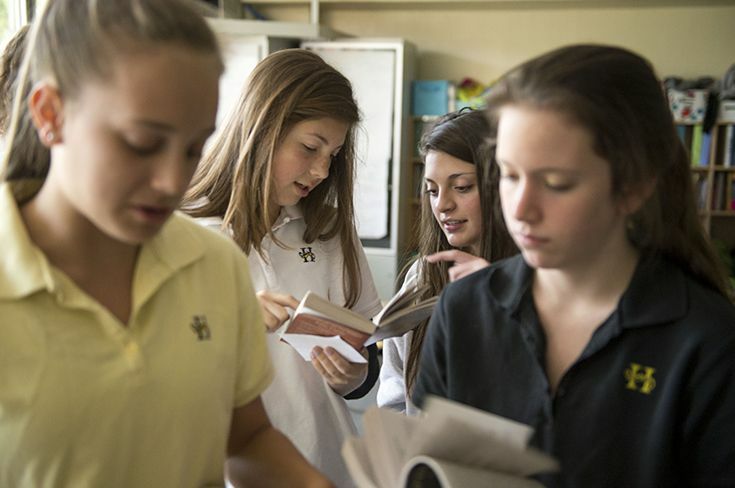 The college counselors keep in conversation with the teachers, the upper school counselor, and the upper school head so that they are not just focused on the college counseling process. 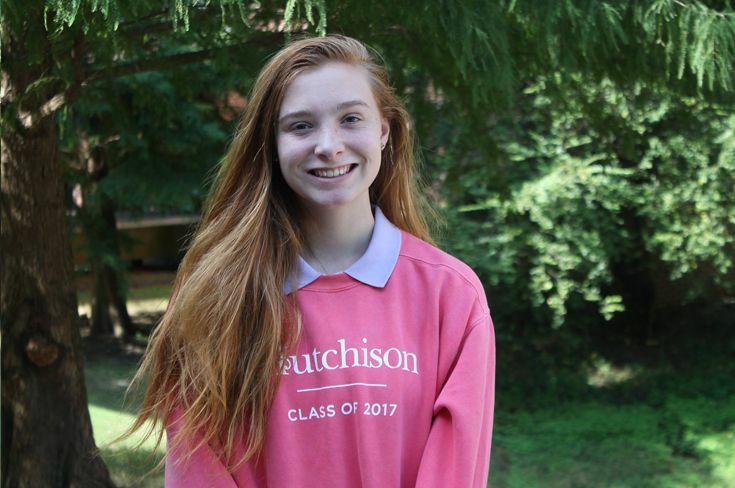 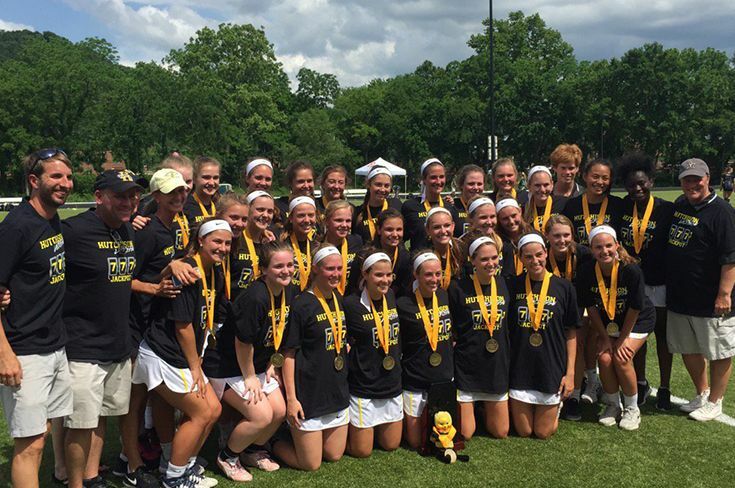 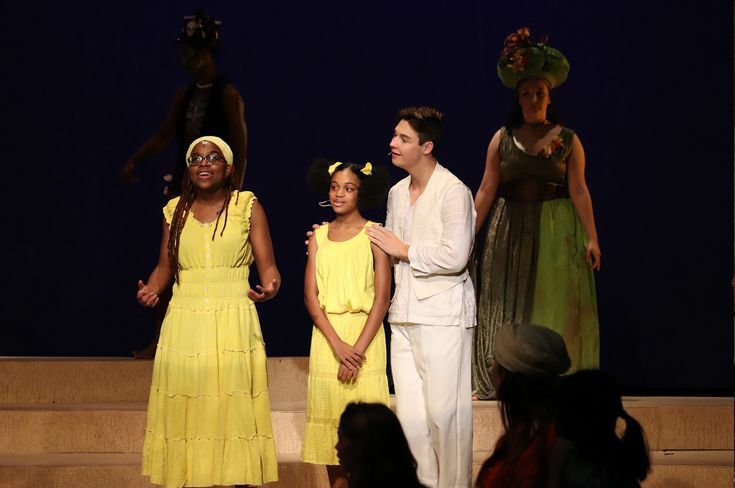 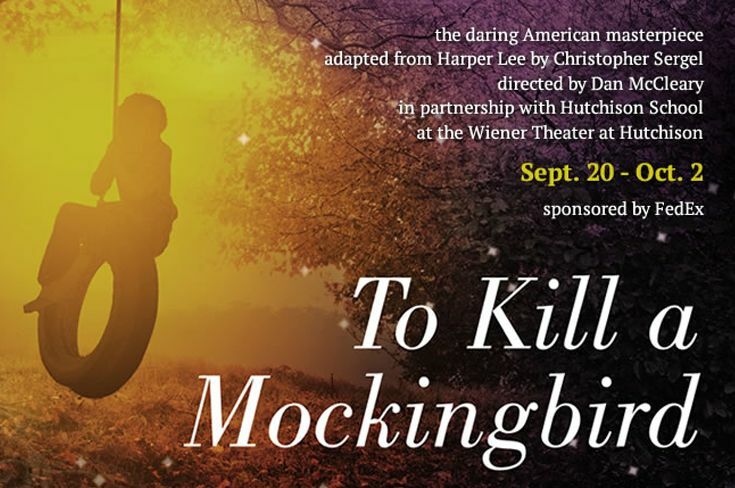 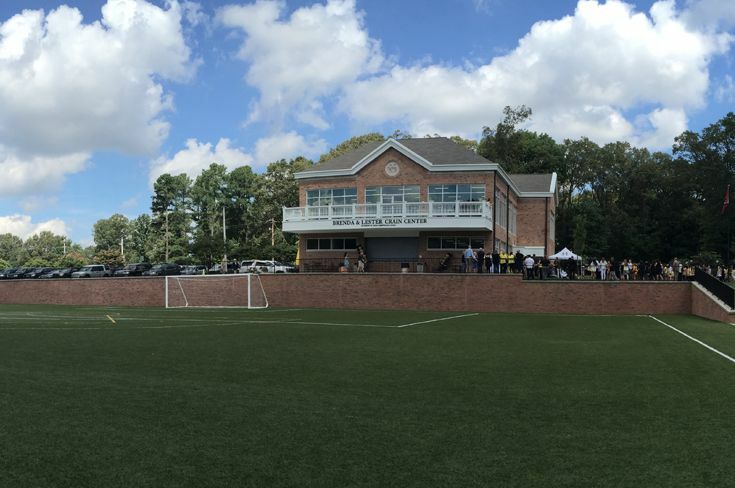 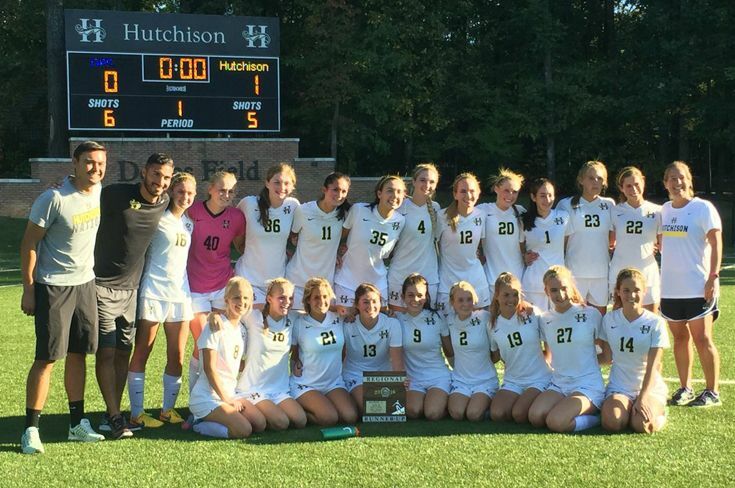 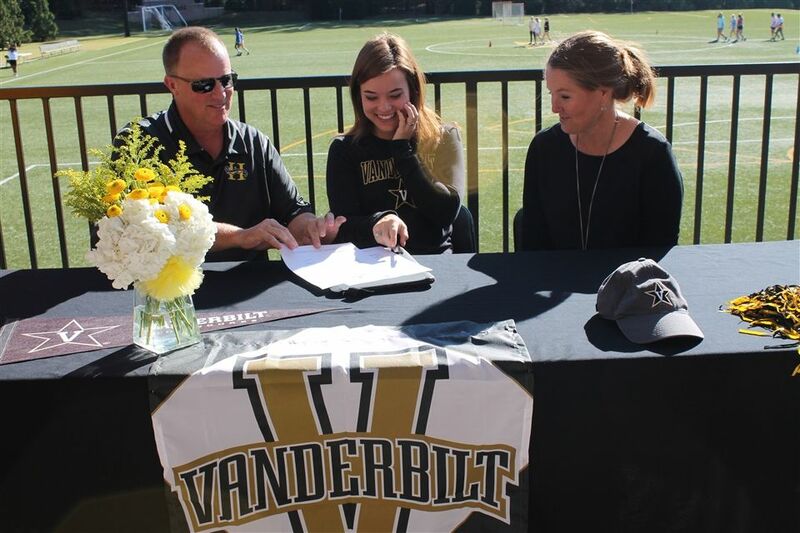 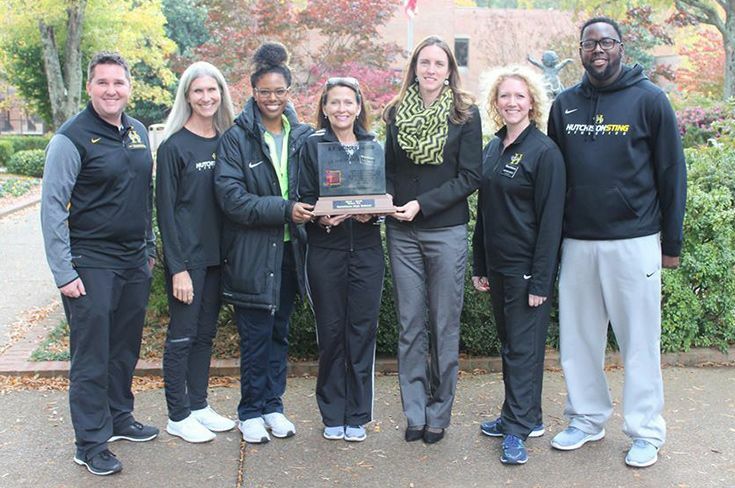 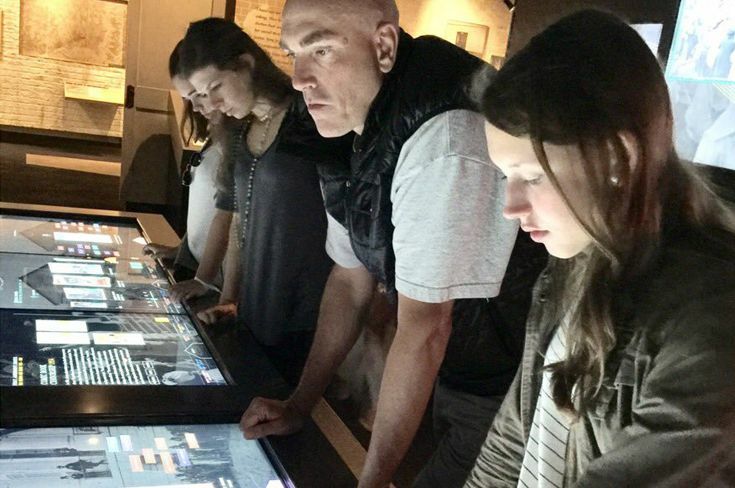 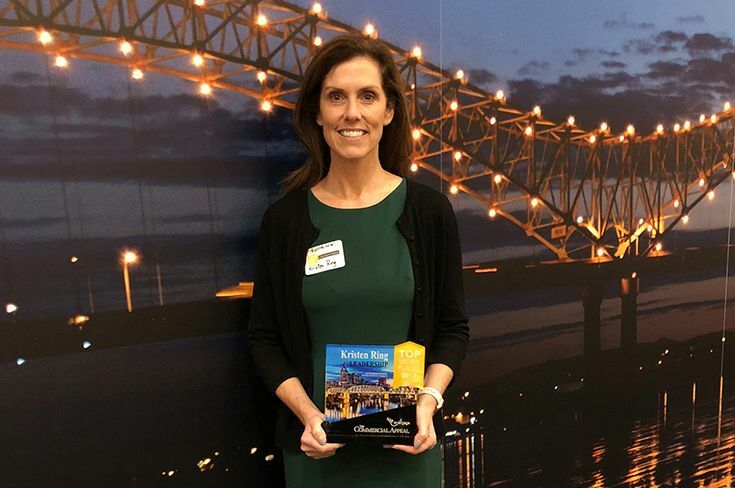 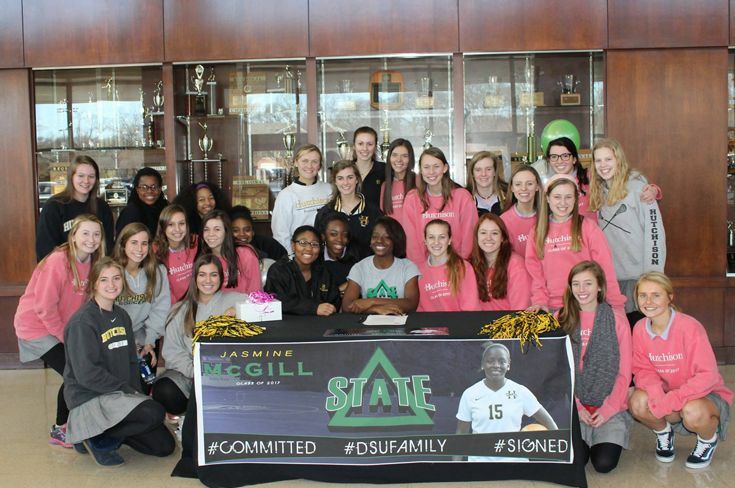 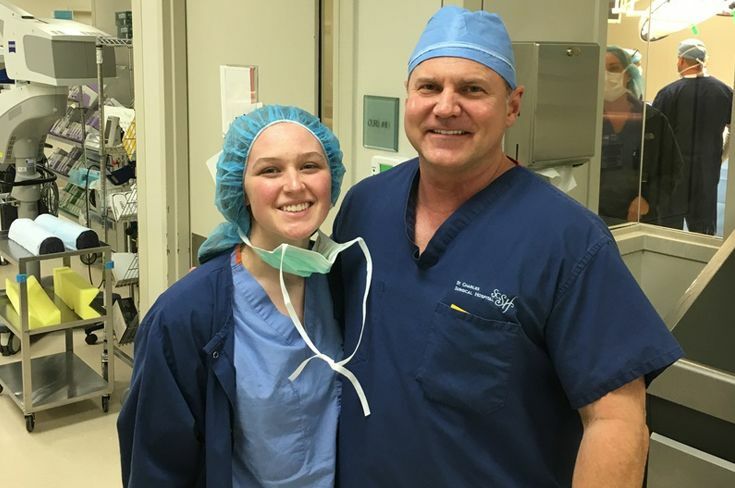 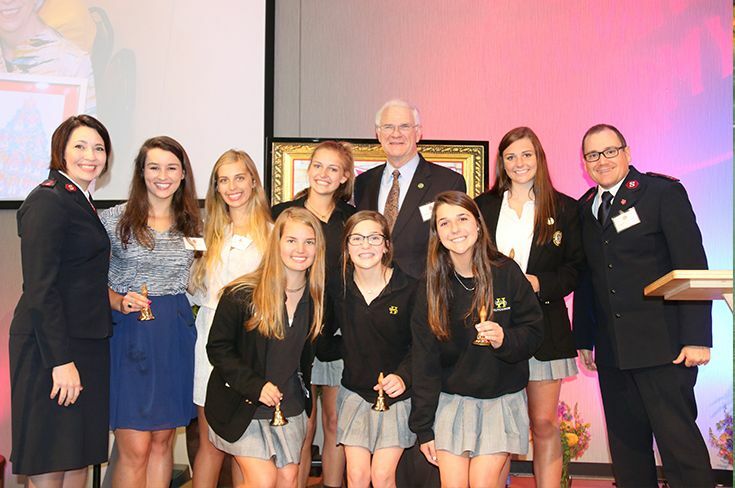 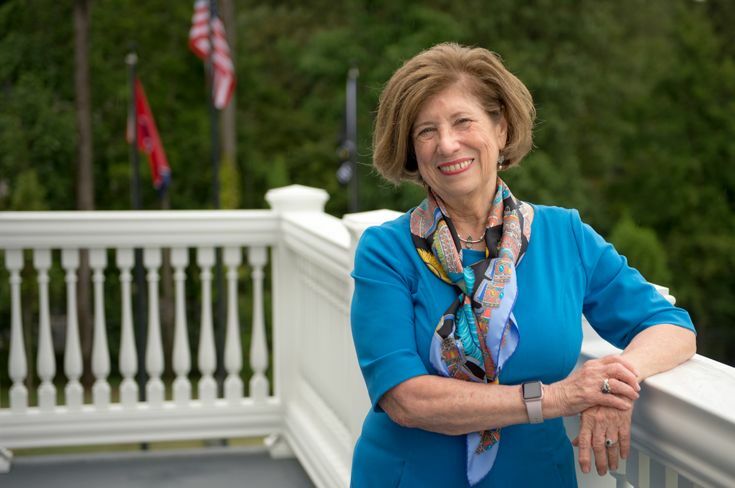 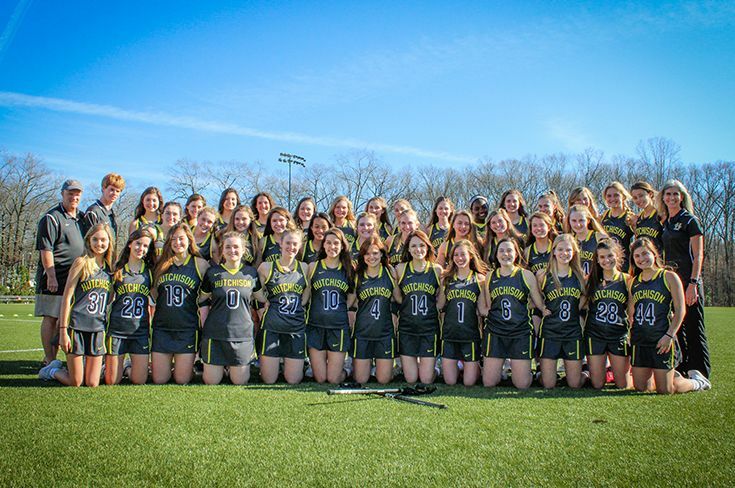 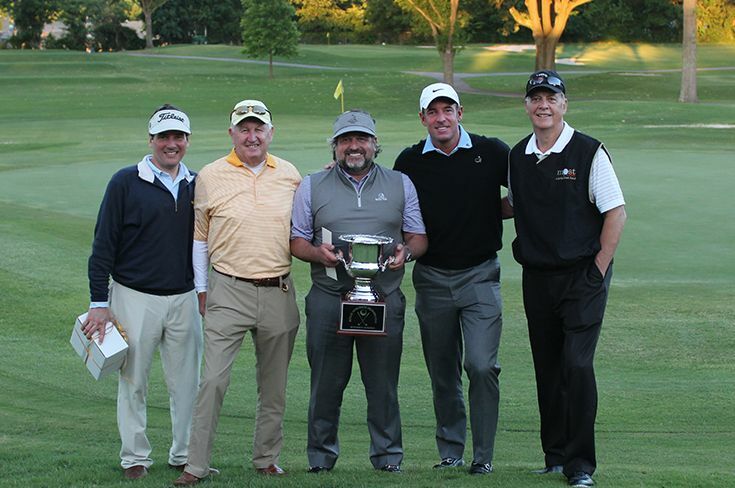 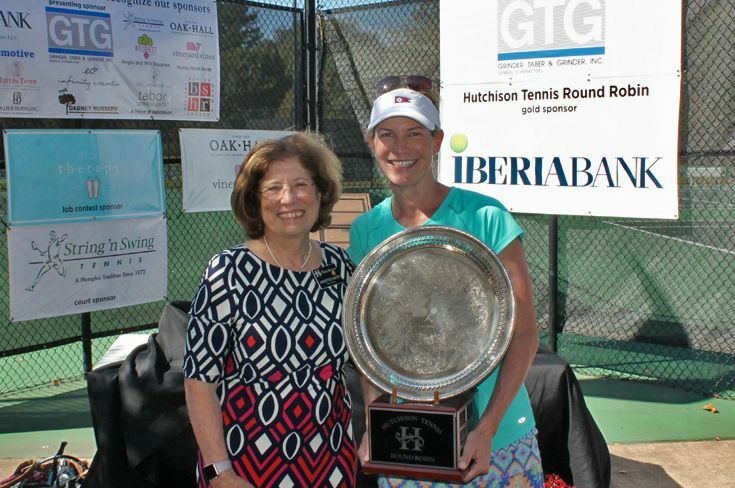 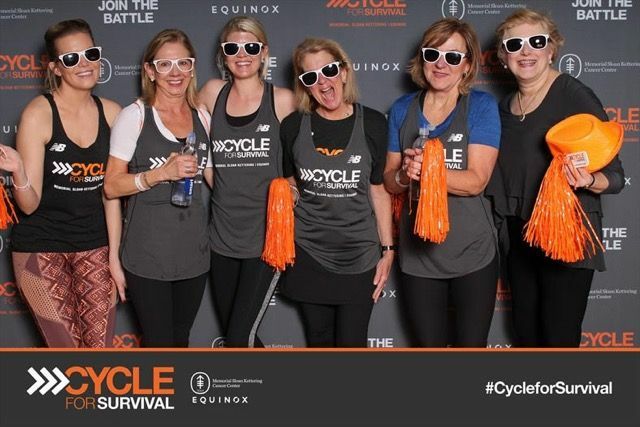 “We want our families to know that they have an entire team supporting their daughters, whether it’s related to the Hutchison academic experience or to the college application experience,” Colpitts said. 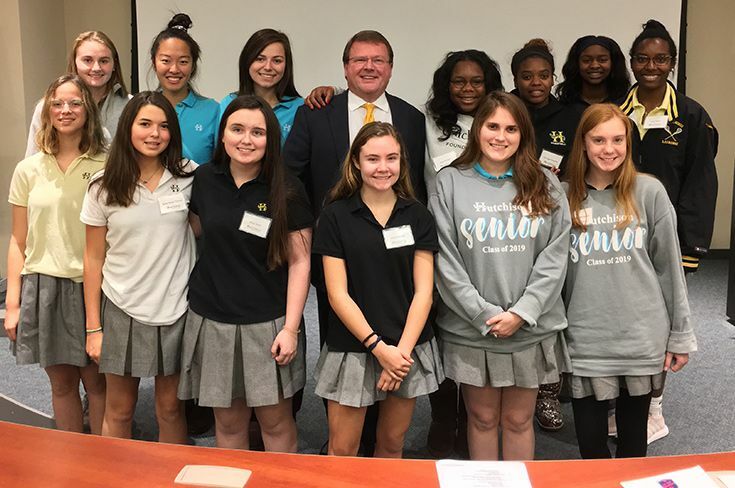 Applications and essays may be one of the most challenging aspects of applying to college, so the counseling team holds a summer session with seniors before school starts to begin familiarizing them with the process. 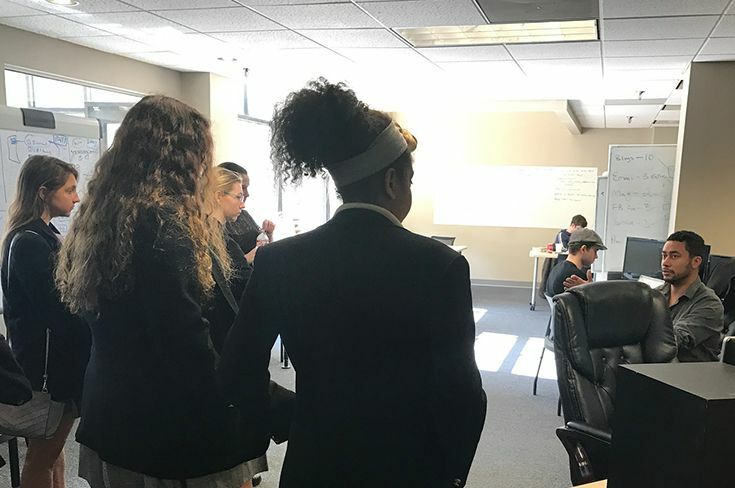 They also have dedicated application sessions during the school day so that they can help answer questions and work on essays. 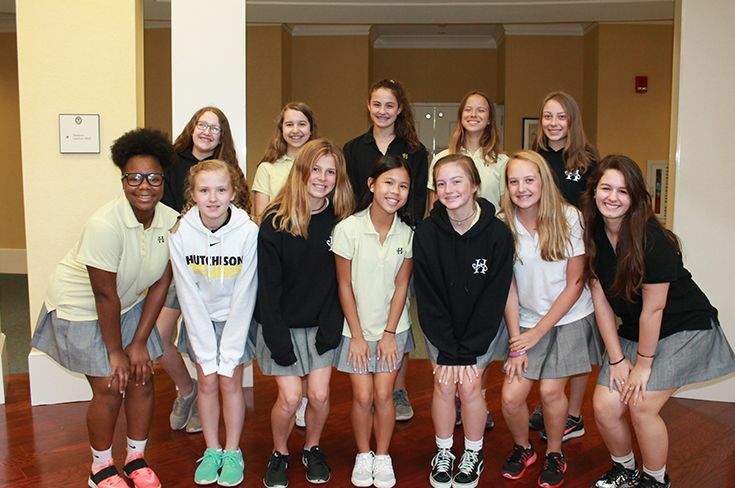 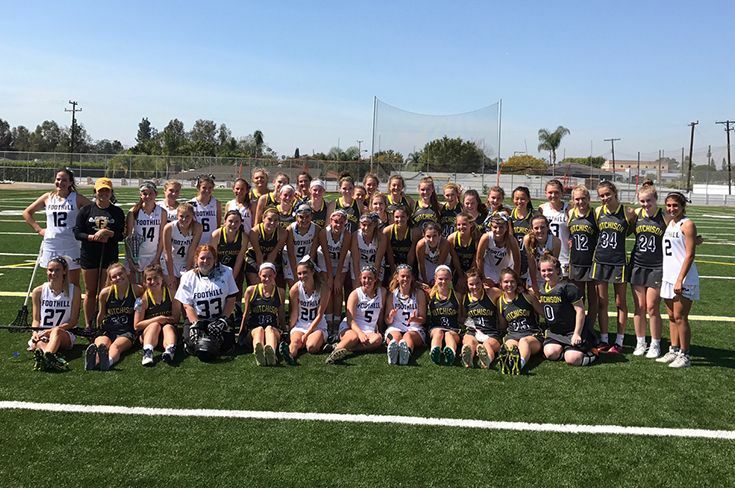 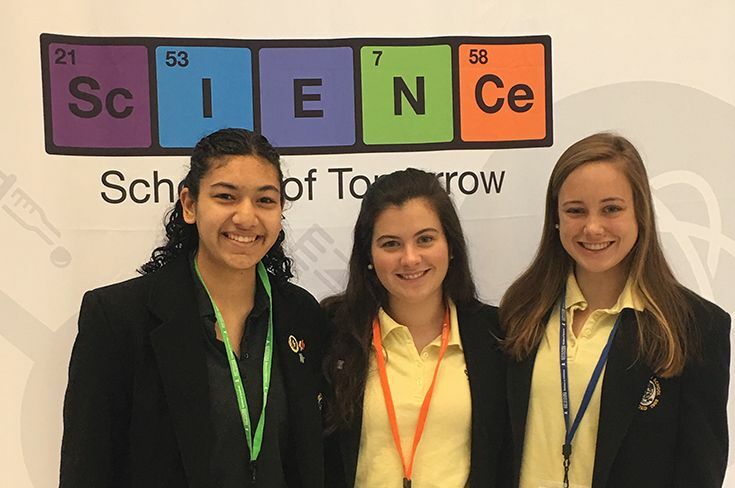 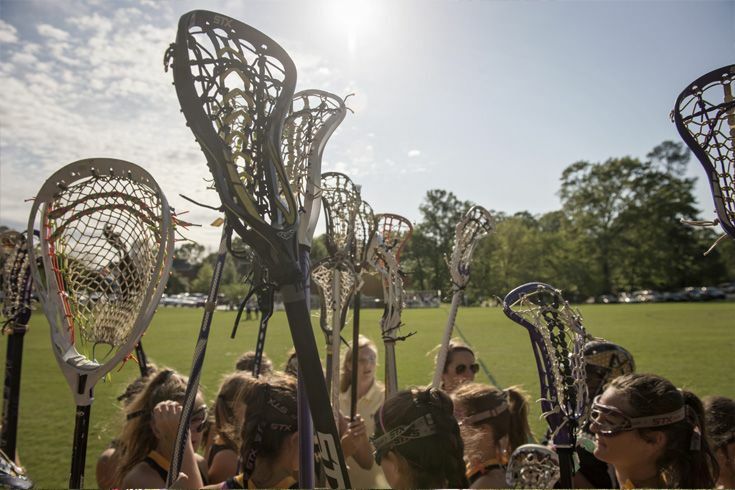 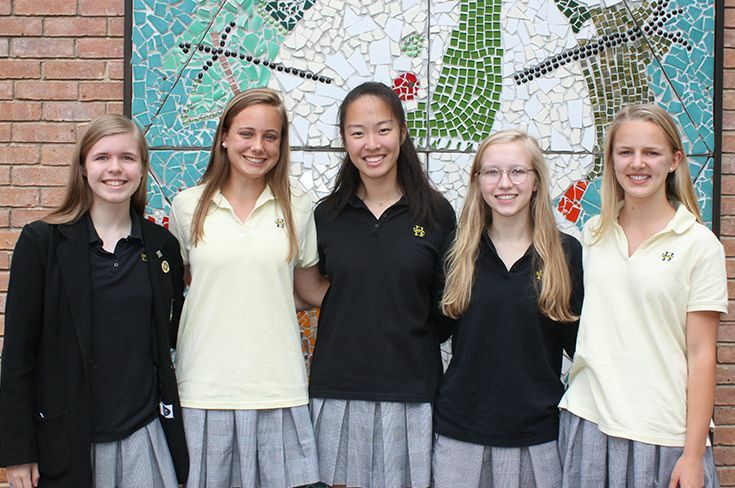 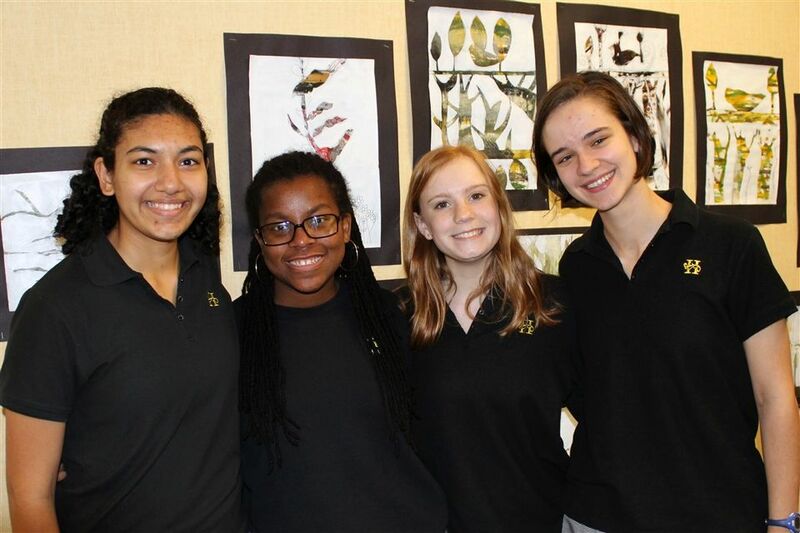 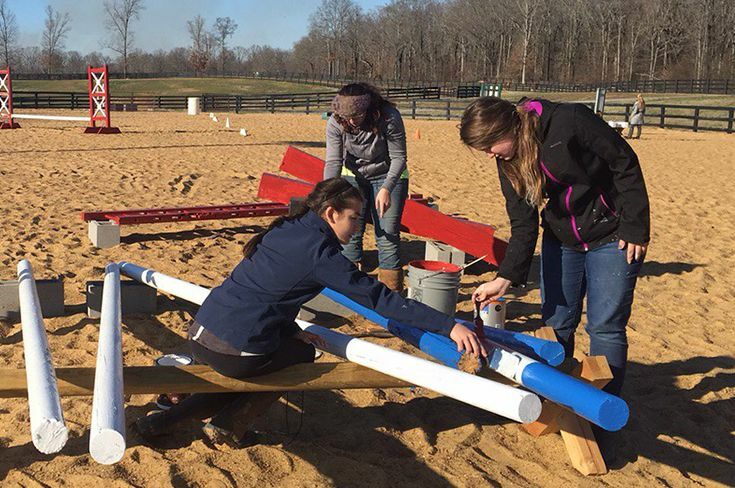 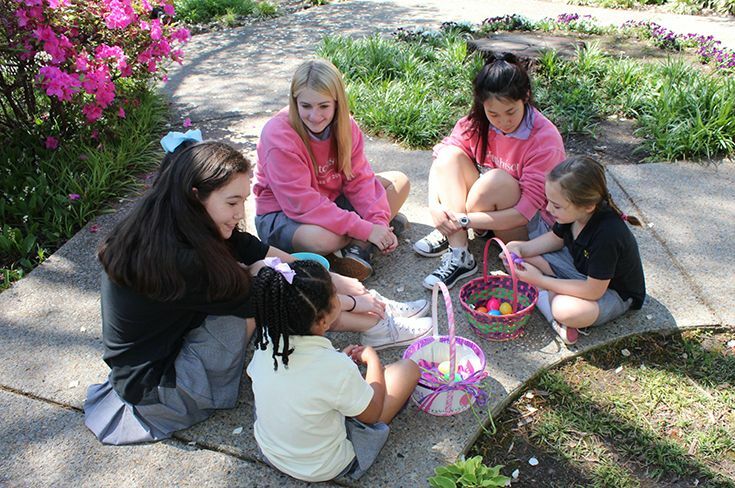 Starting with upper school girls in their ninth- and tenth-grade years provides a great advantage because the counselors can help them develop their interests and chart paths toward prospective colleges. 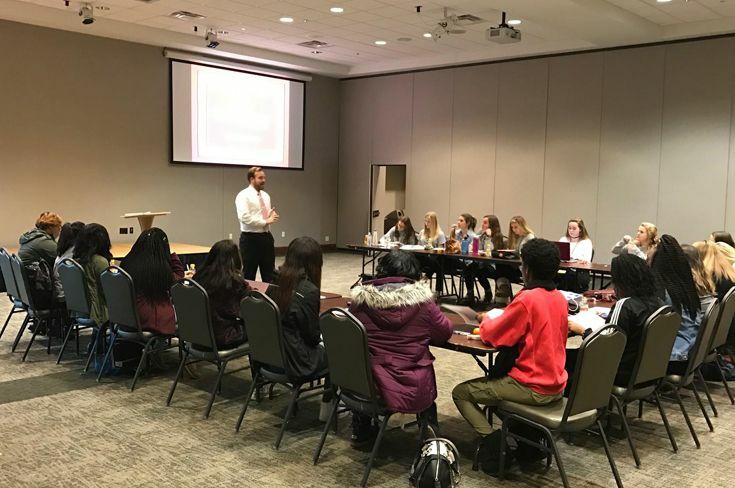 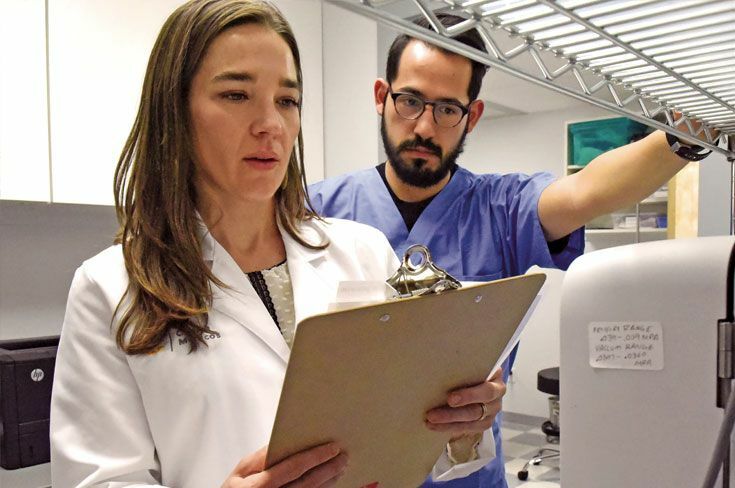 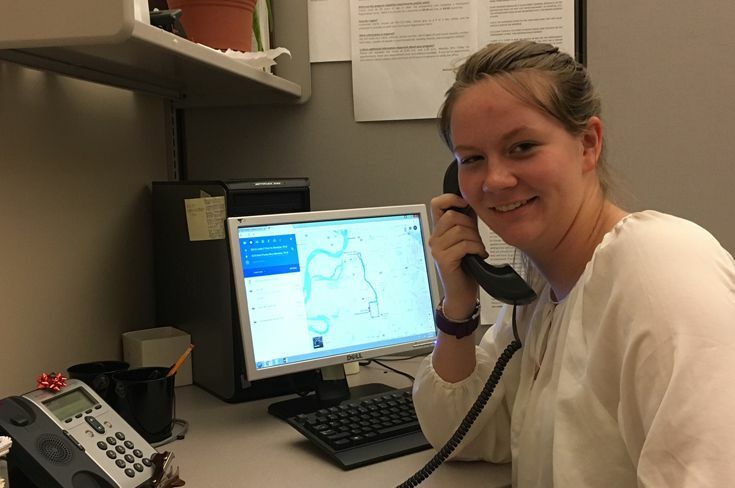 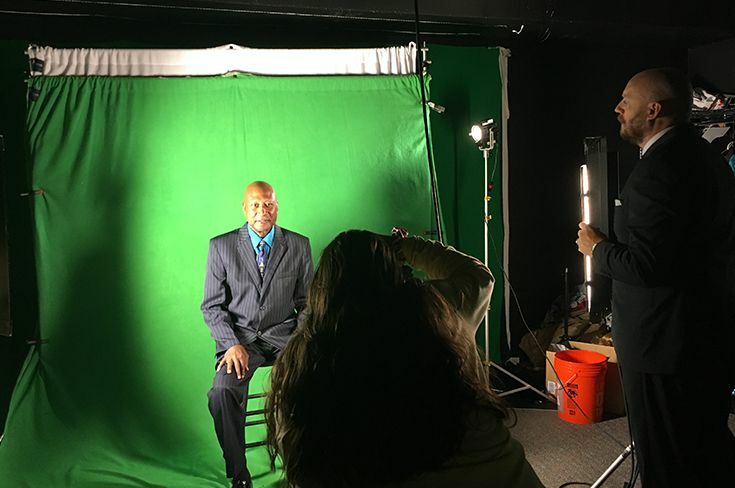 “Even if they don’t know what they want to study in college or where they want to go to school, we start to help them define it by asking questions and conducting career exploration surveys,” Colpitts said. 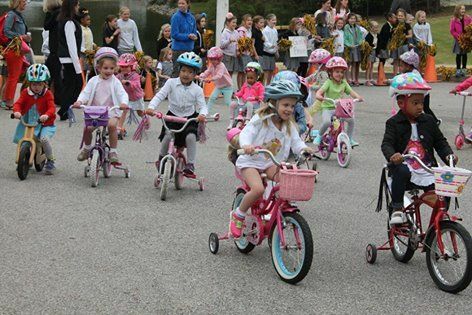 The ultimate goal is for girls to feel secure in their decisions. 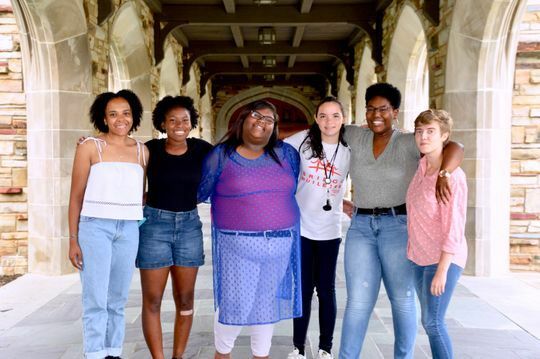 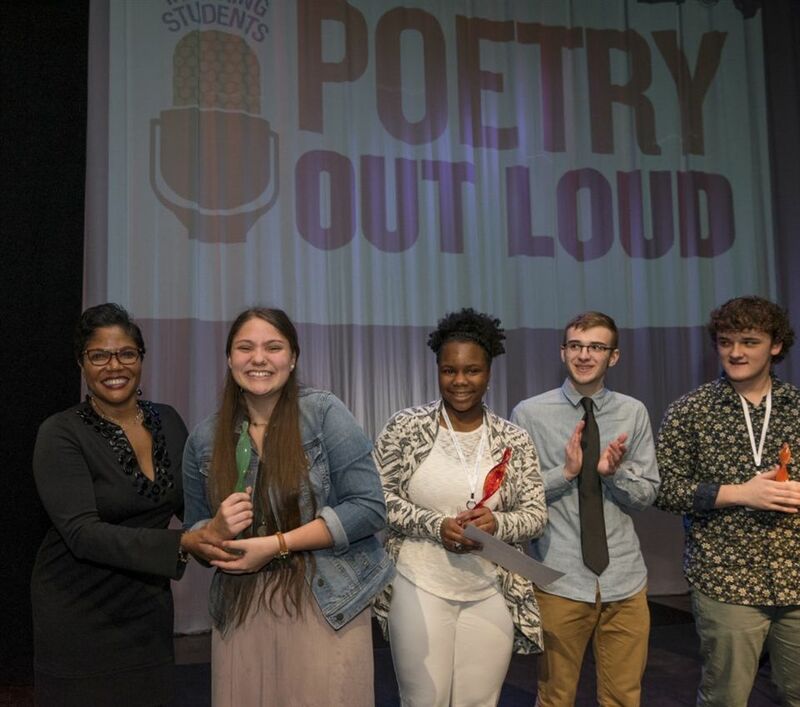 “At the end of the day, we want them to look back and feel like they considered everything,” Colpitts said.